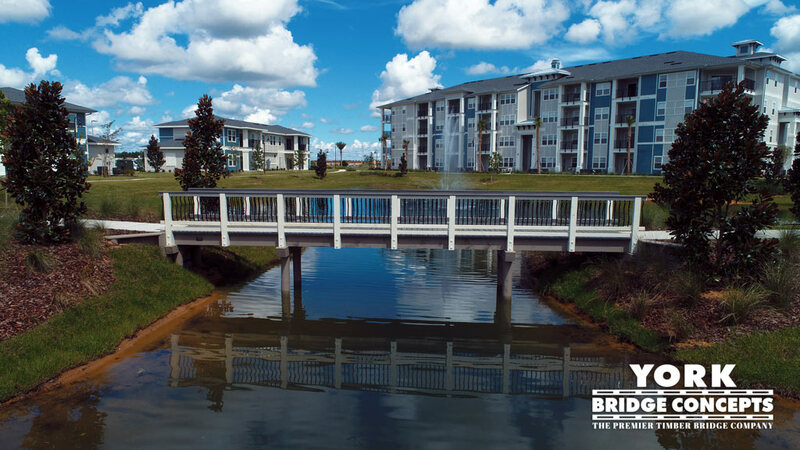 Located near Orlando, FL, Champions Vue is a master planned multi-family community including a mix of luxury apartments and townhome living, adjacent to future hospitality and retail development. 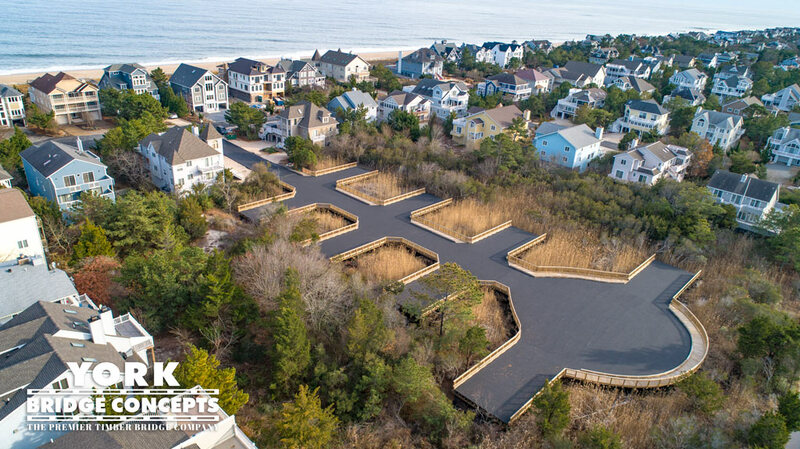 This all-inclusive lifestyle property boasts a fresh coastal breeze color scheme over a crisp modern clapboard & white trimmed architectural aesthetic. 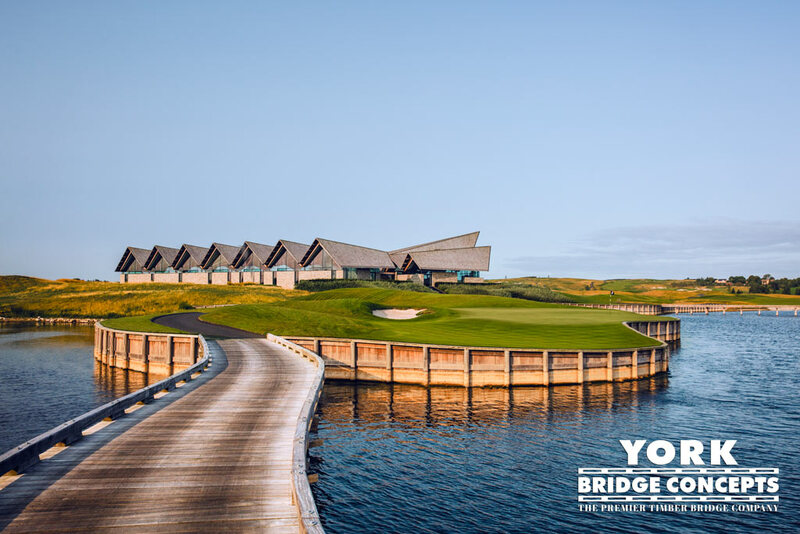 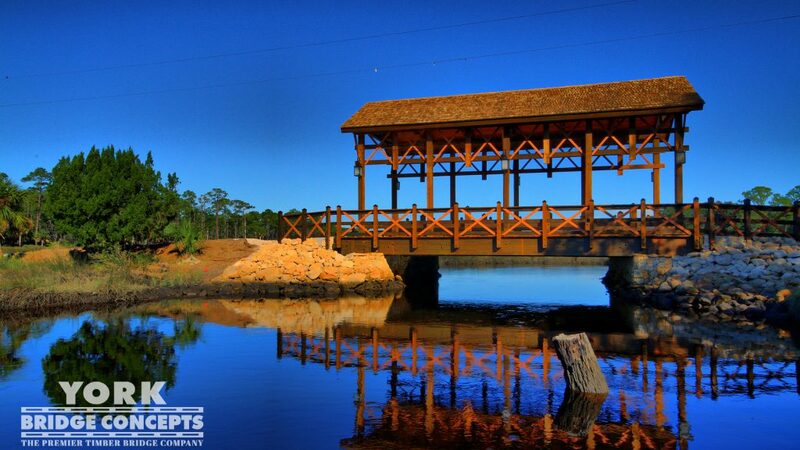 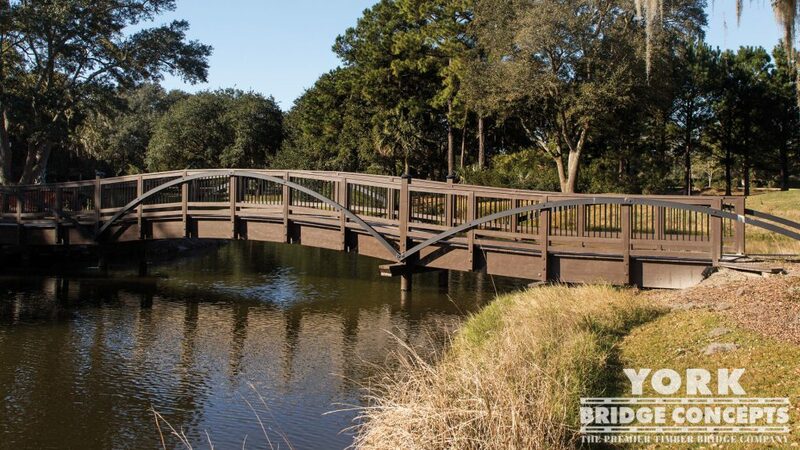 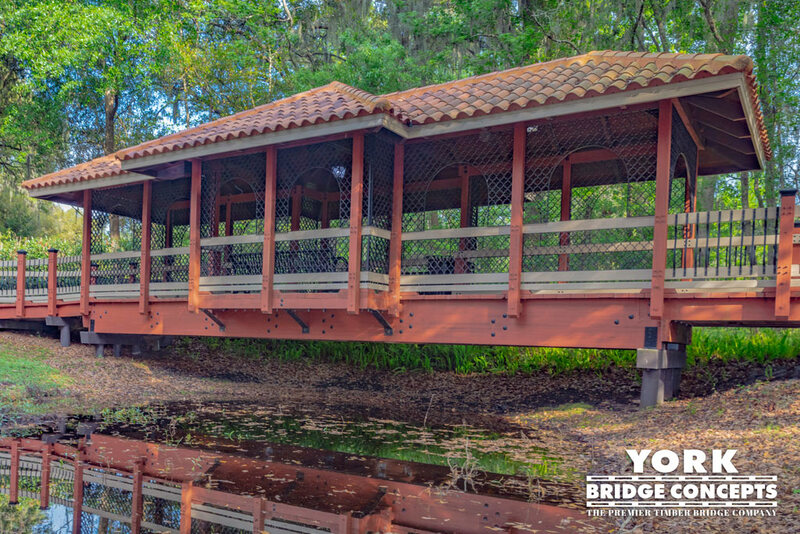 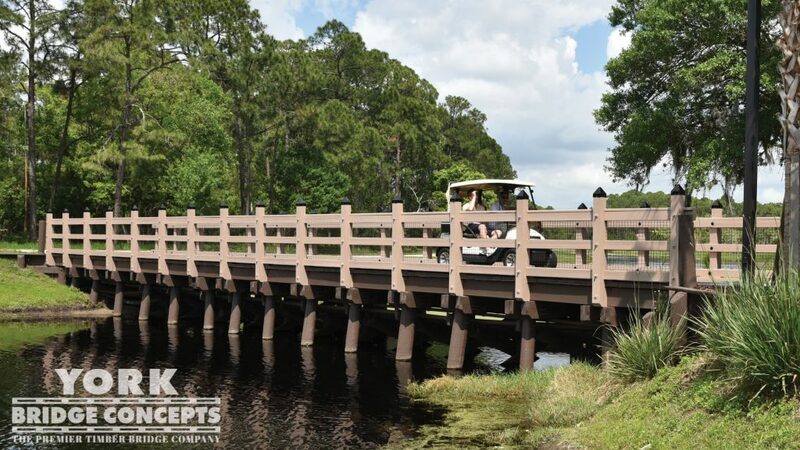 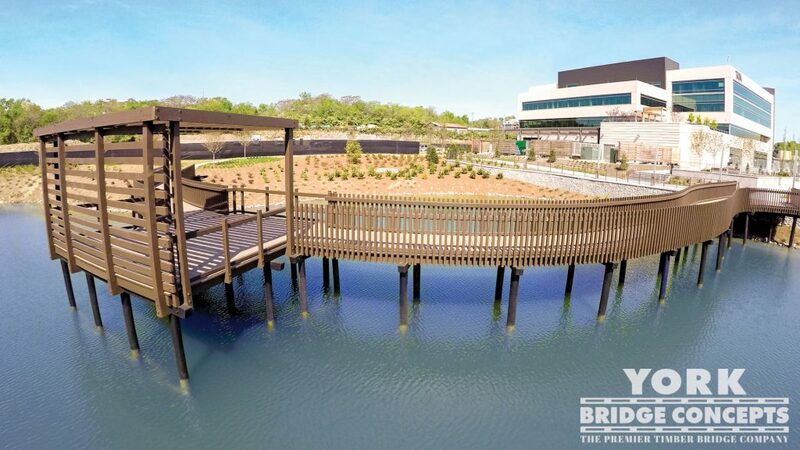 The Decero™ Design Team focused on the oasis vibe central to the property with a palm lined pool clubhouse overlooking the pond to guide their vision for the Champions Vue York Bridge. 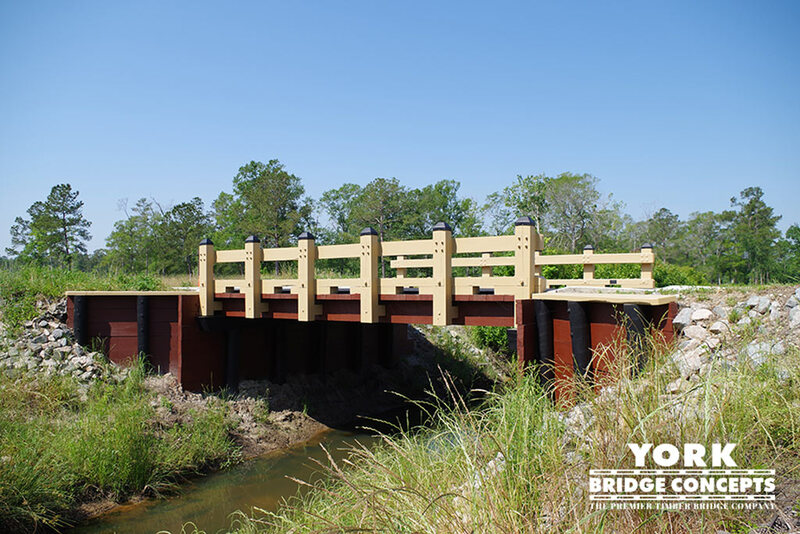 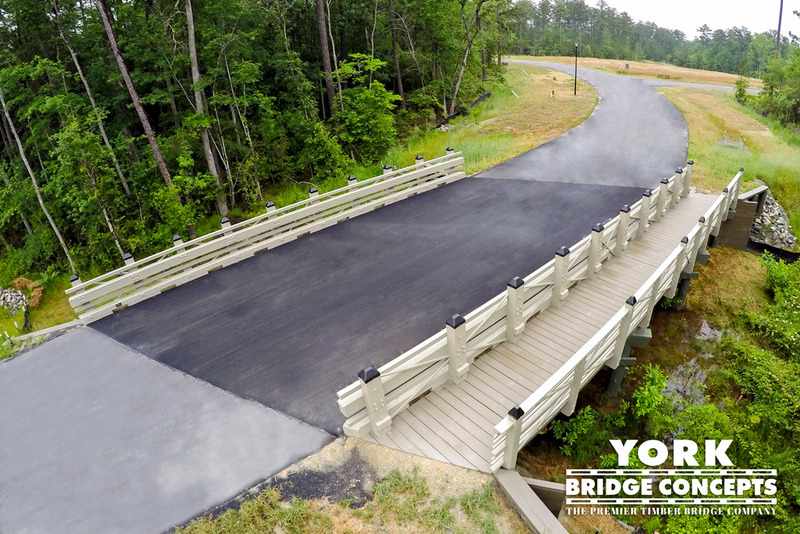 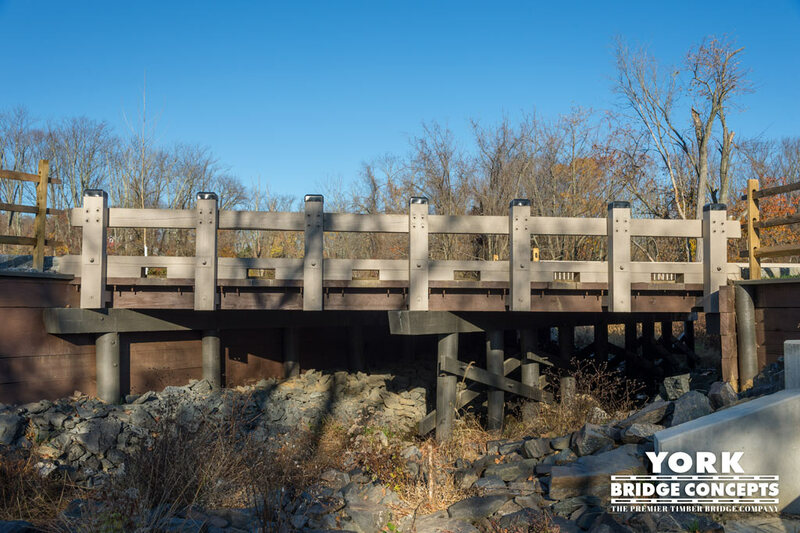 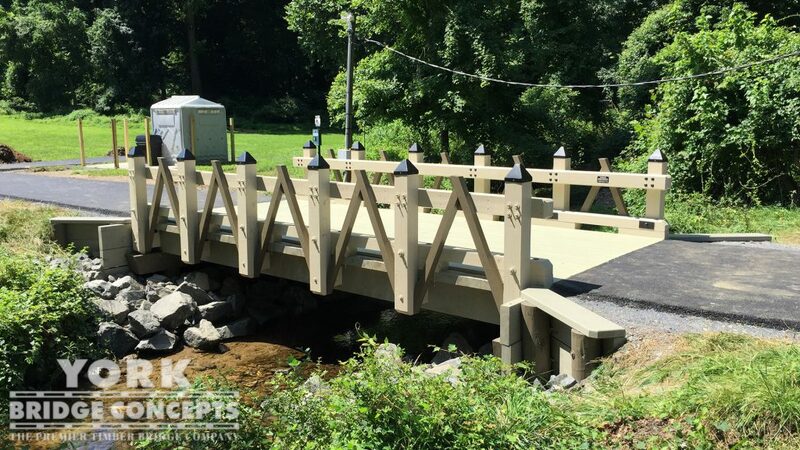 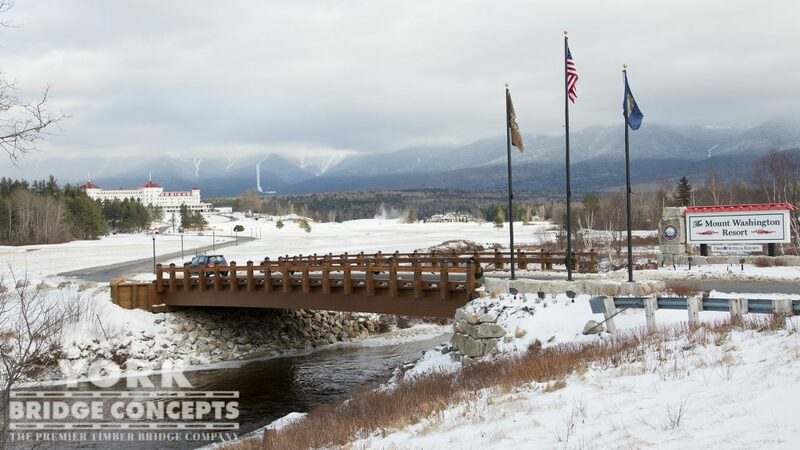 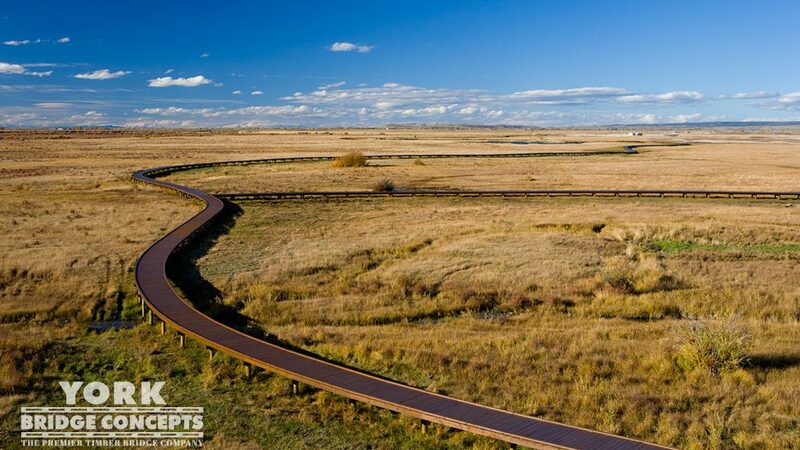 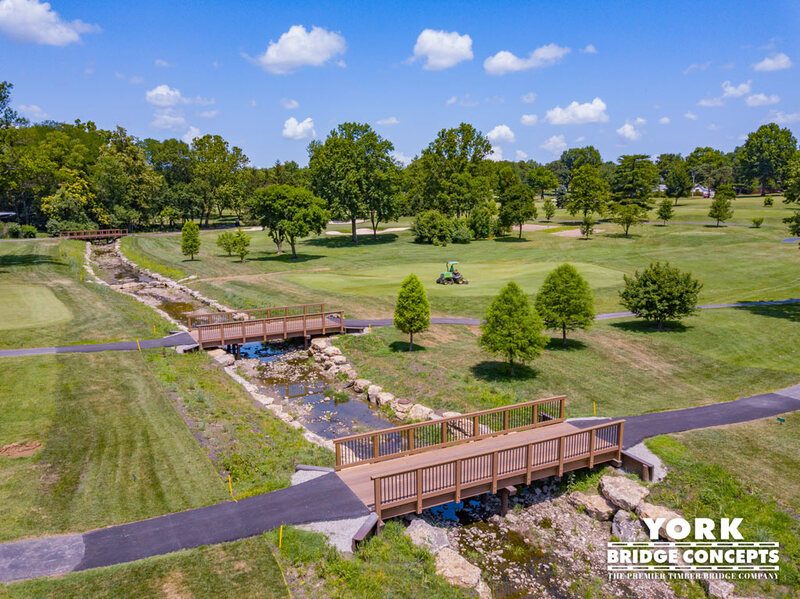 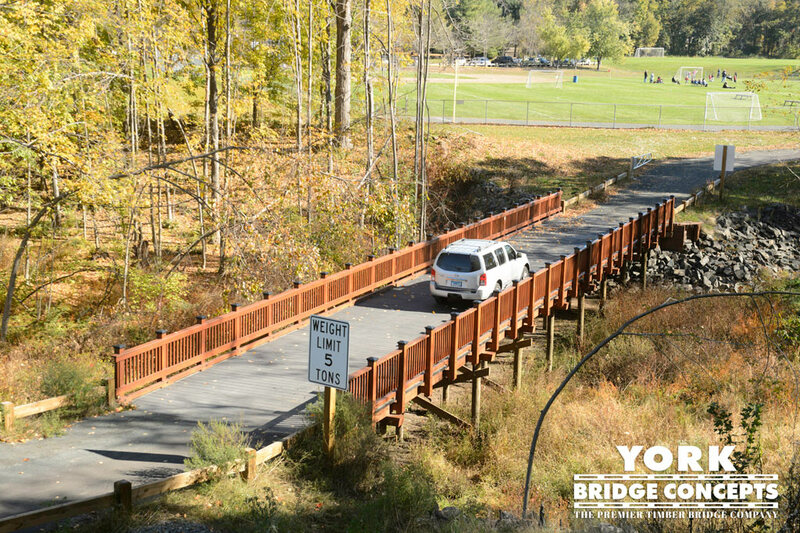 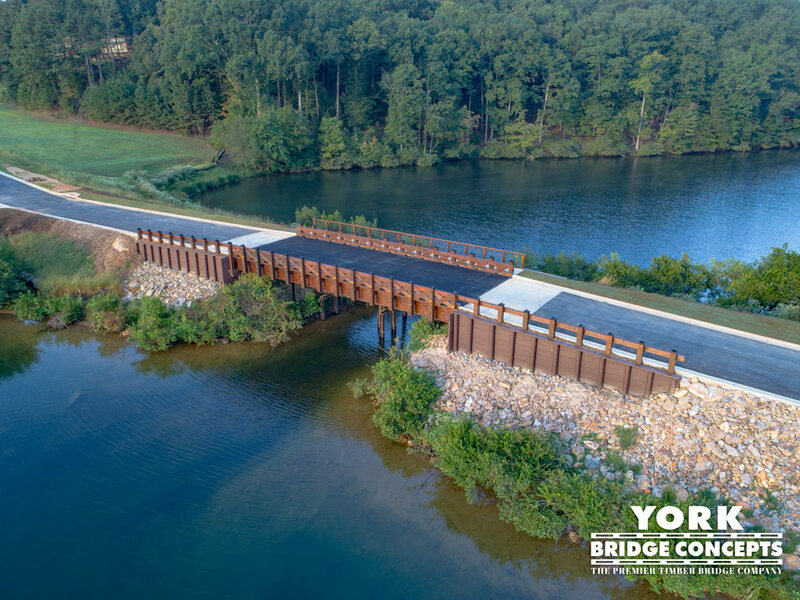 YBC’s field crew coordinated with other site contractors to ensure a sealed connection between the bridge foundations and pond liner was achieved. 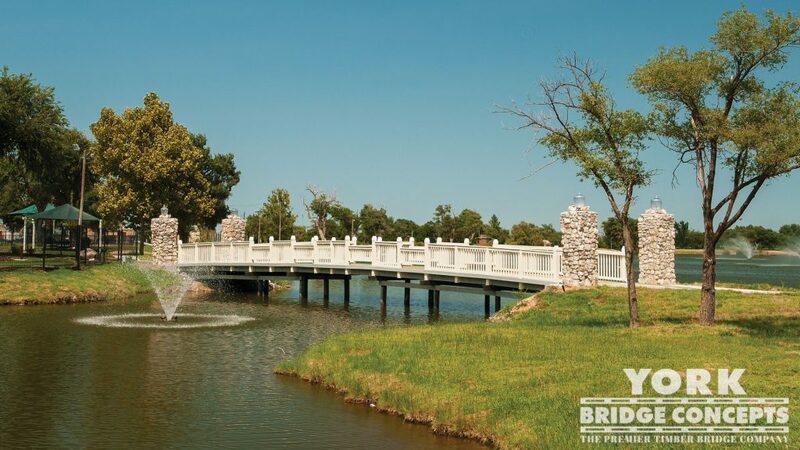 The pond crossing features a soft palette of island greys and whites that sparkle in the pond reflection. 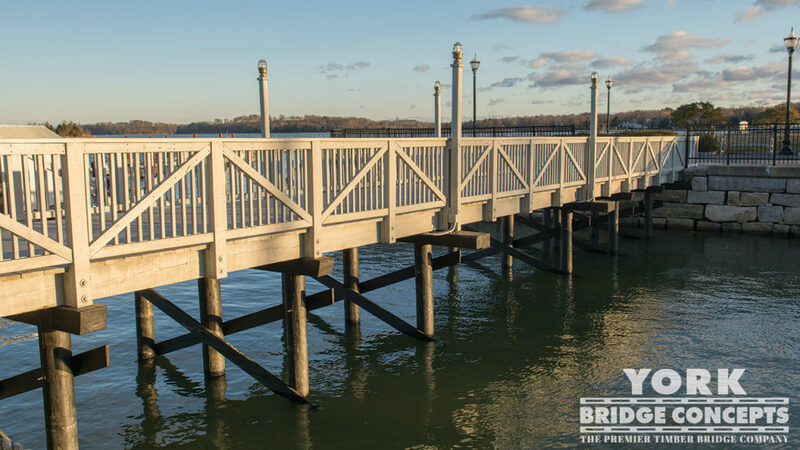 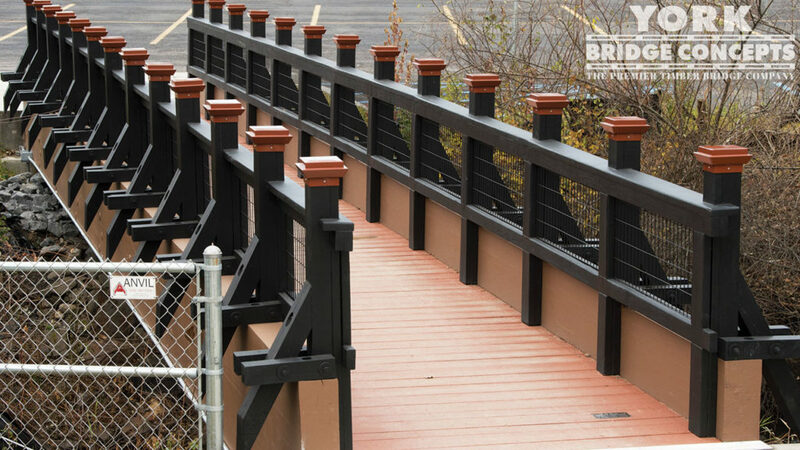 In addition, a rhythmic series of sculpted metal picket stretch between the top rail and a double rail baseline setting a sophisticated tone for the profile. 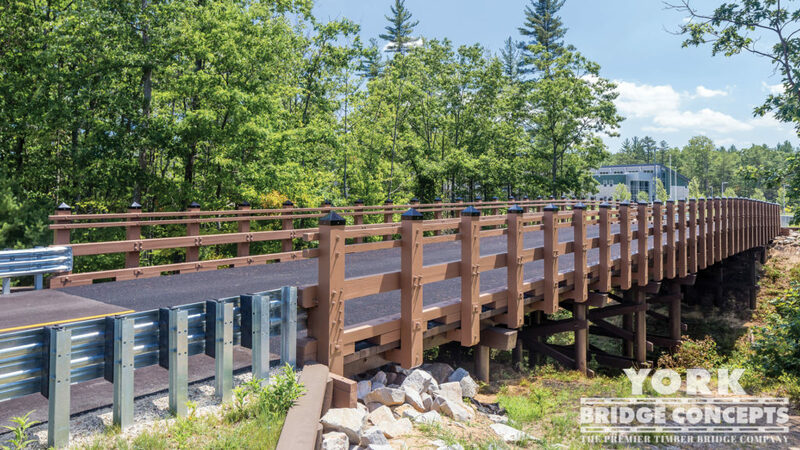 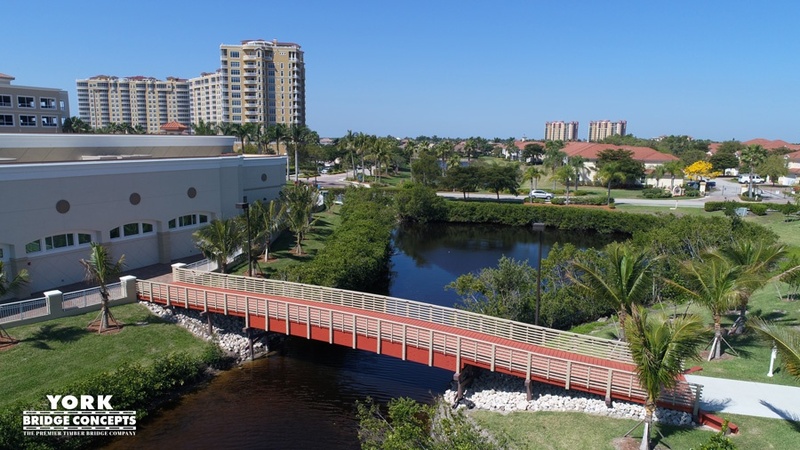 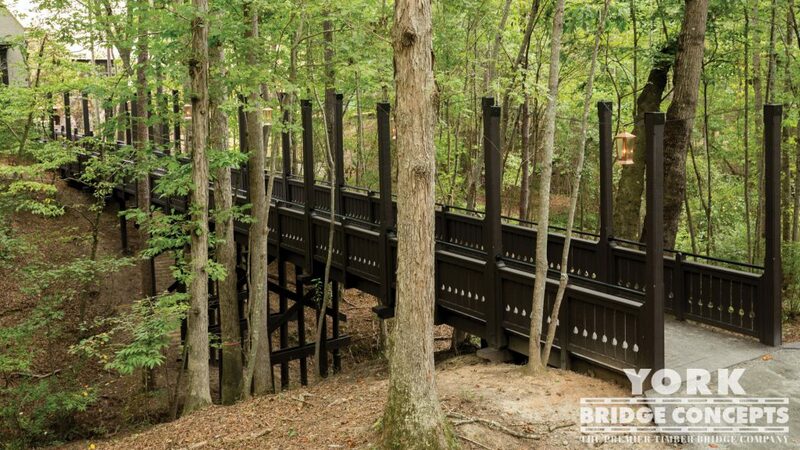 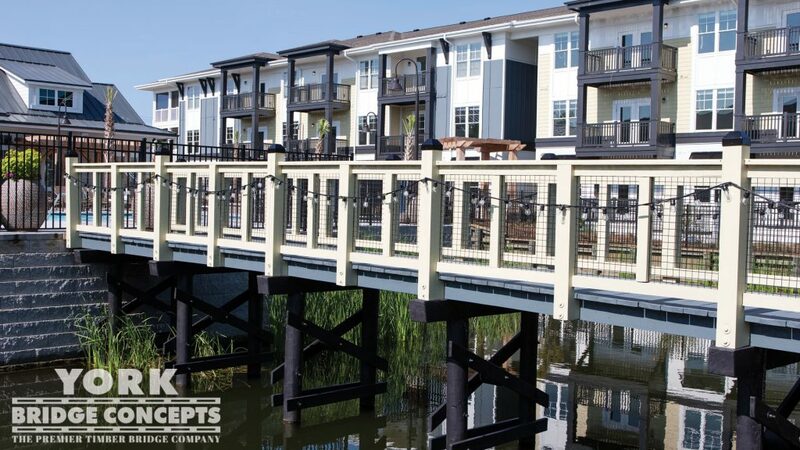 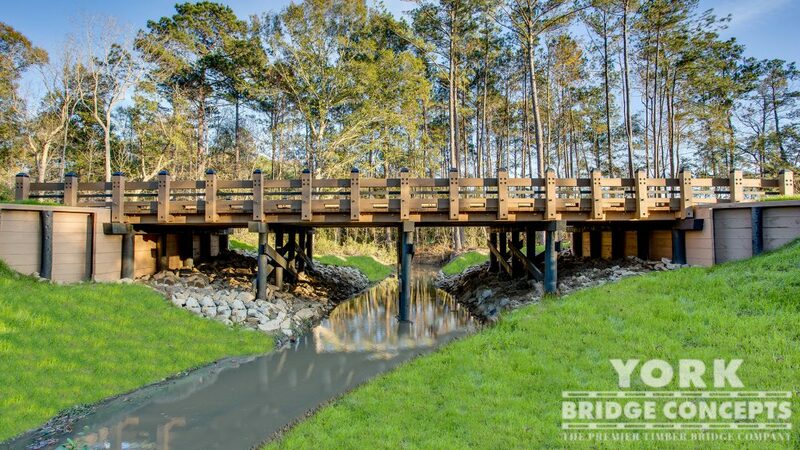 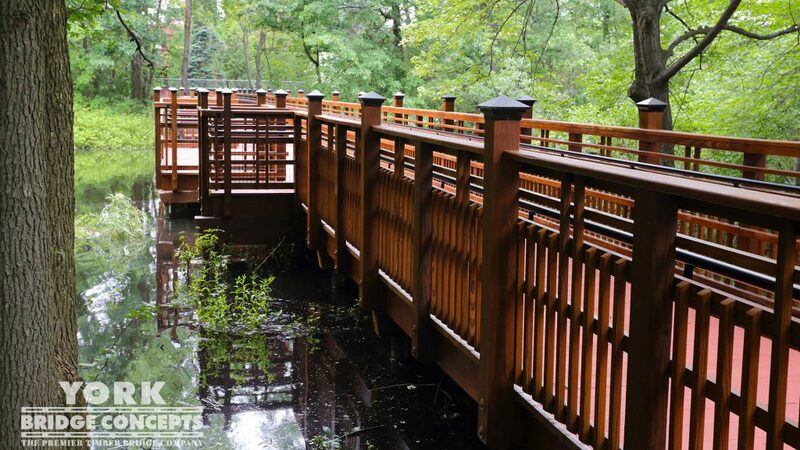 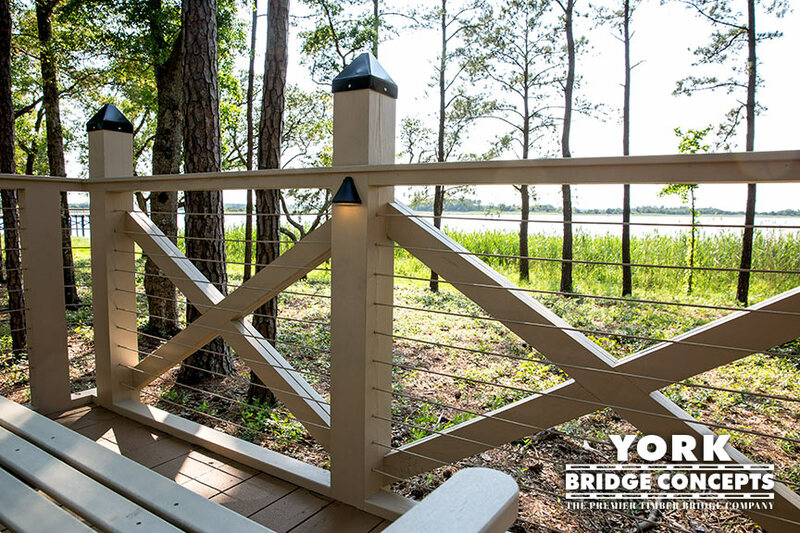 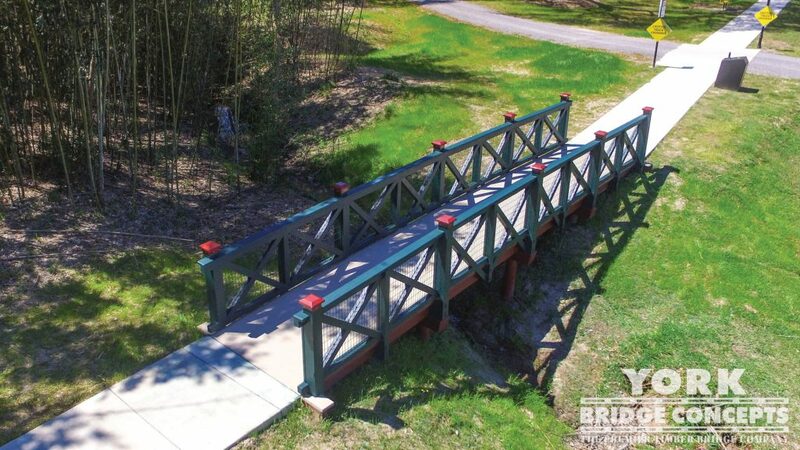 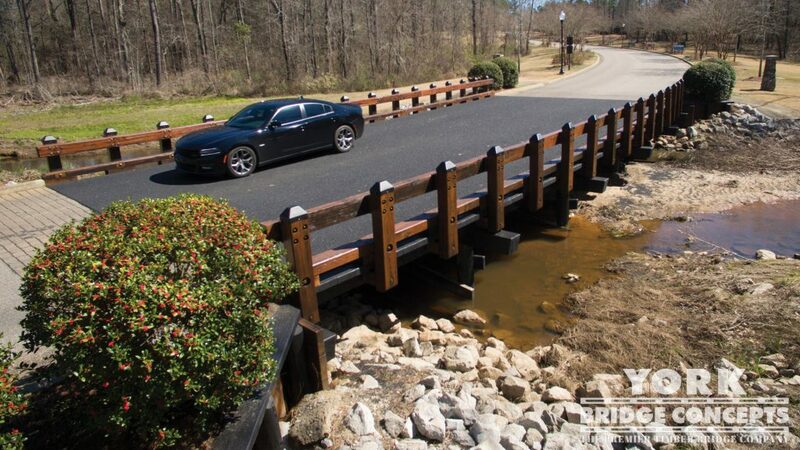 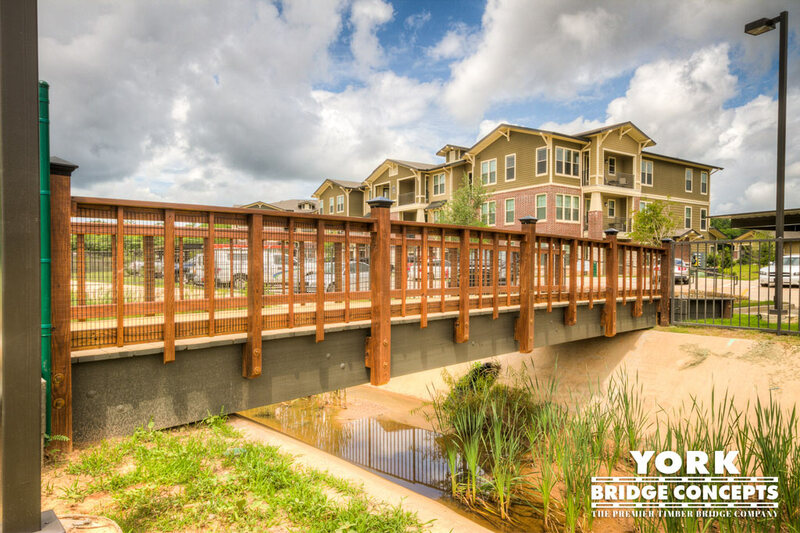 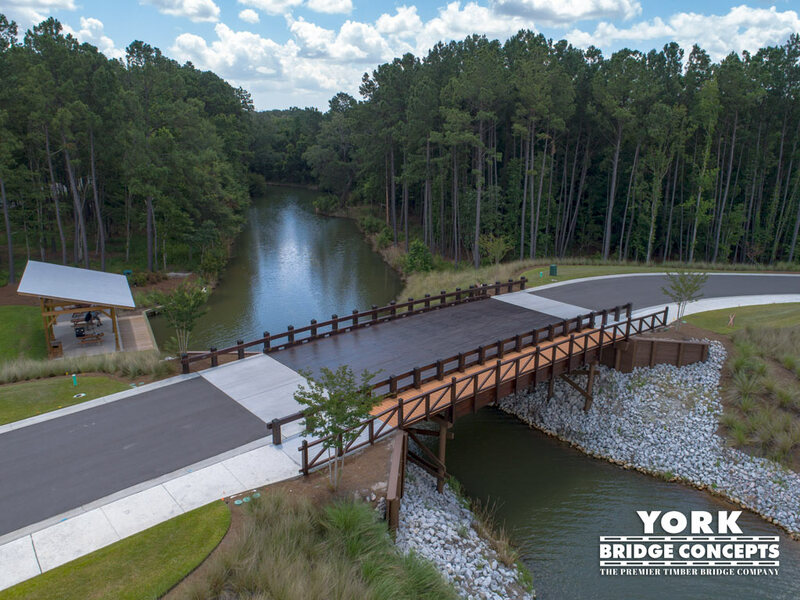 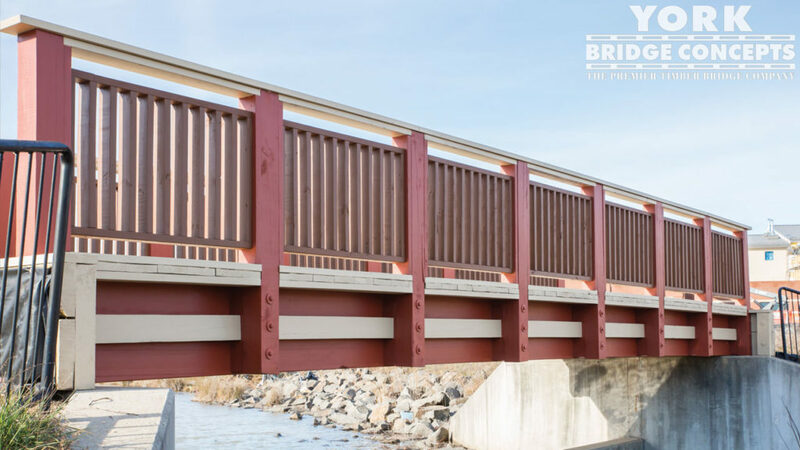 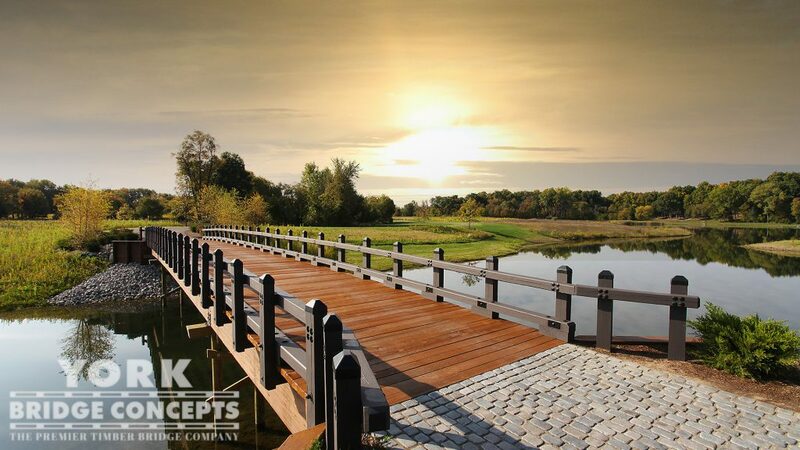 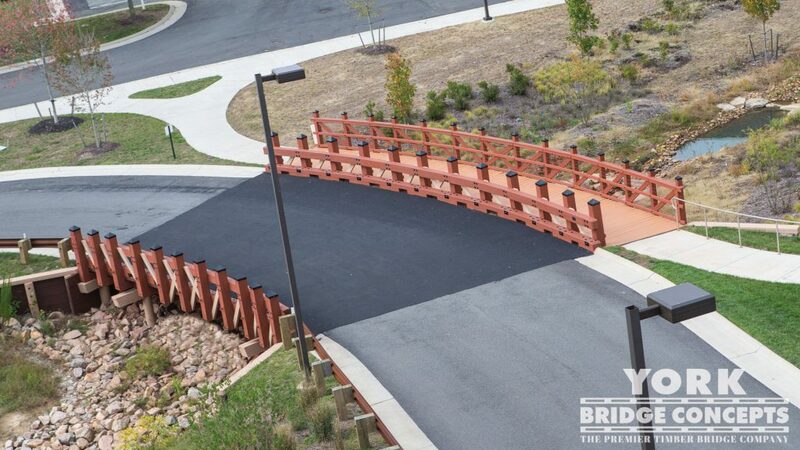 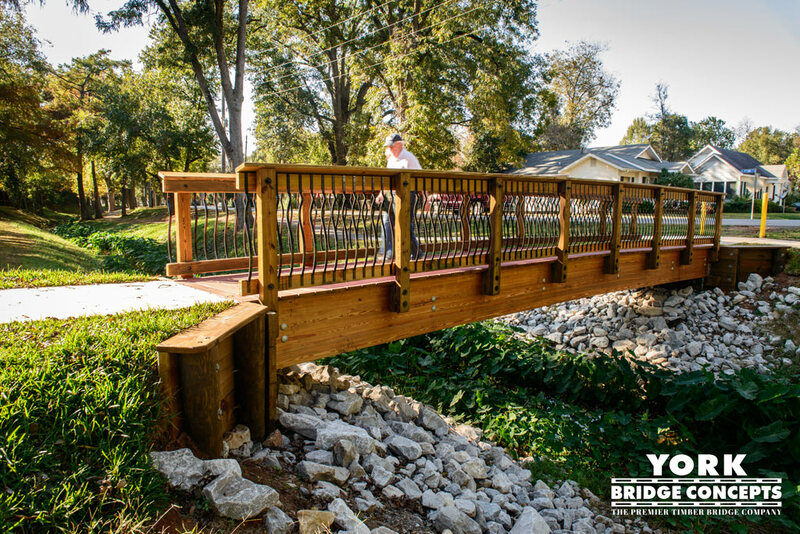 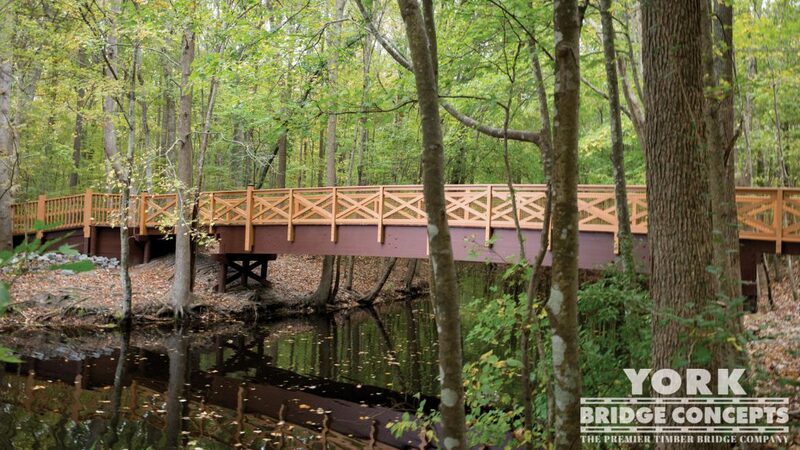 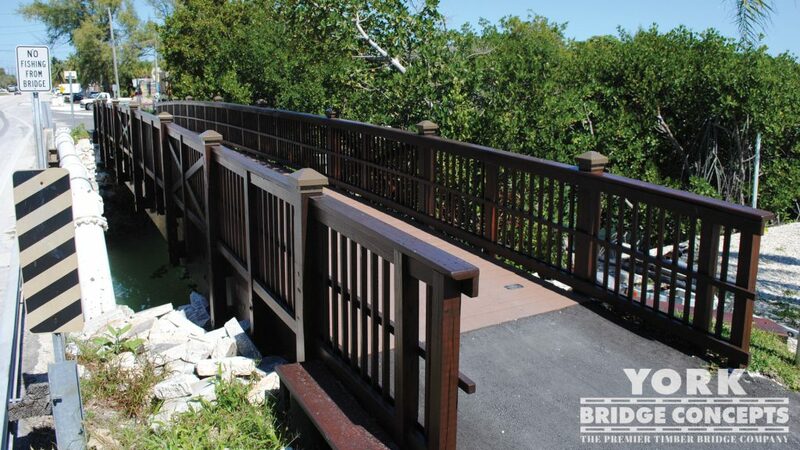 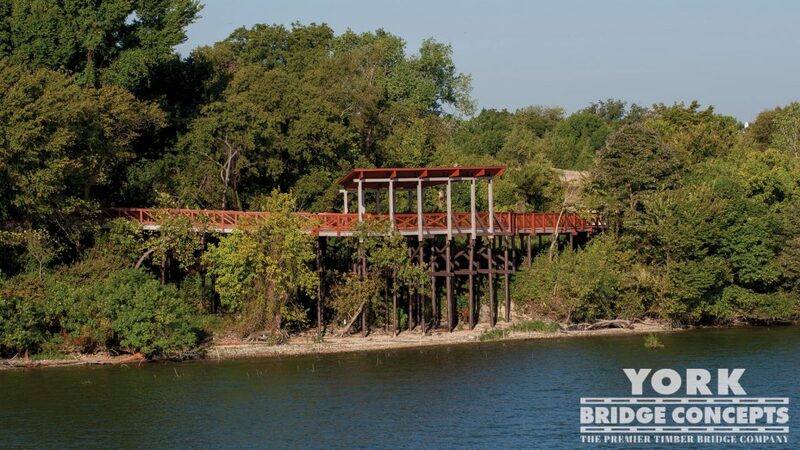 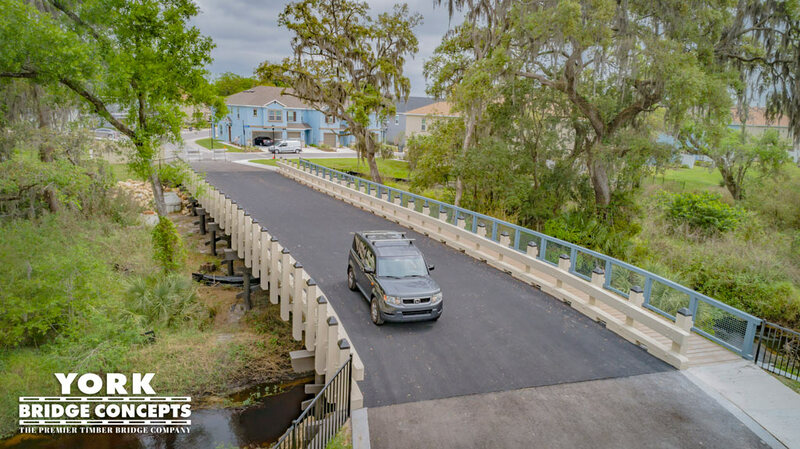 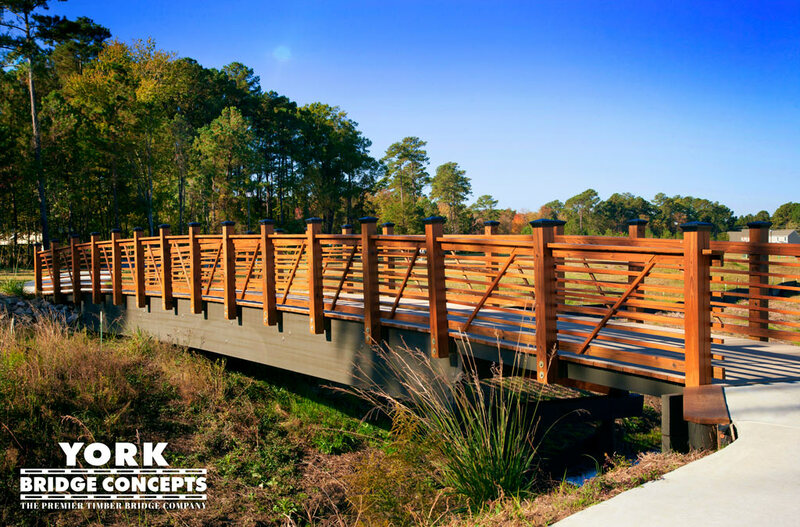 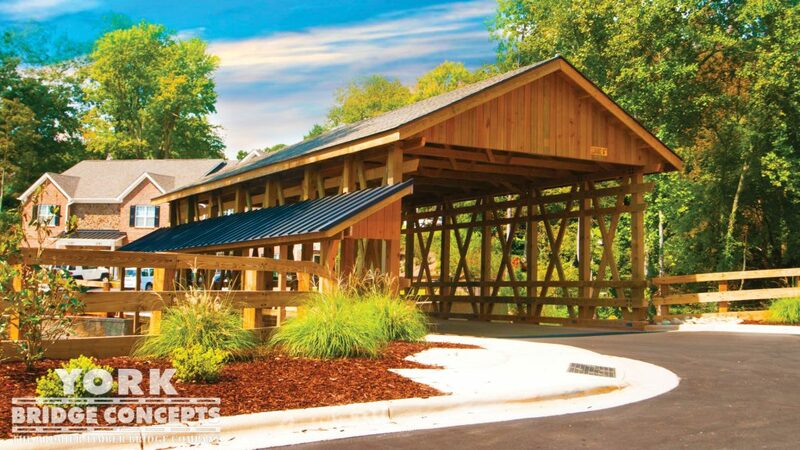 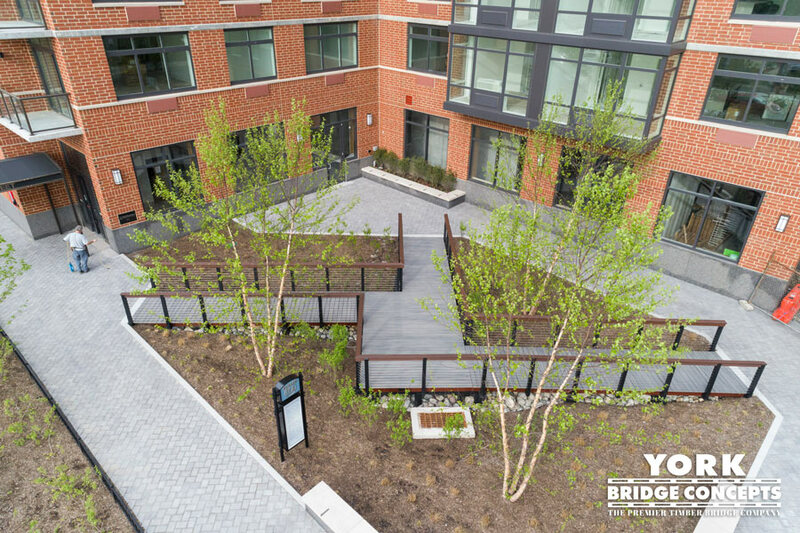 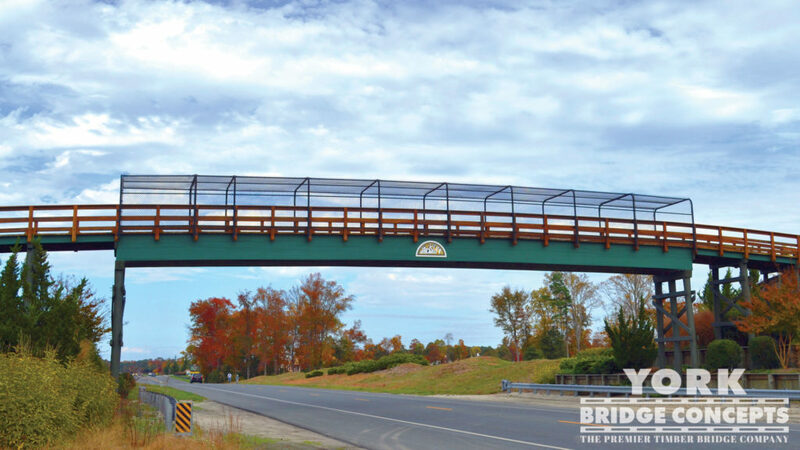 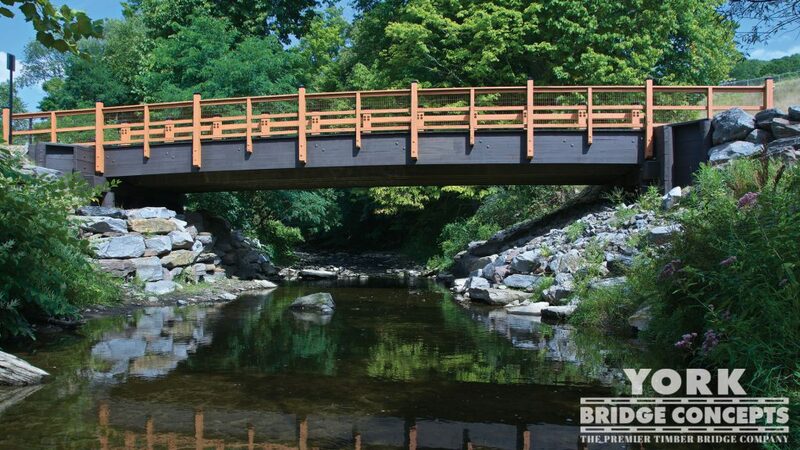 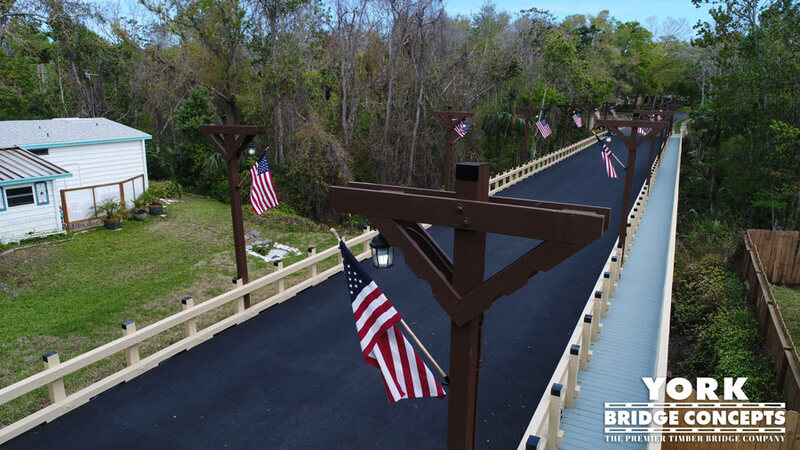 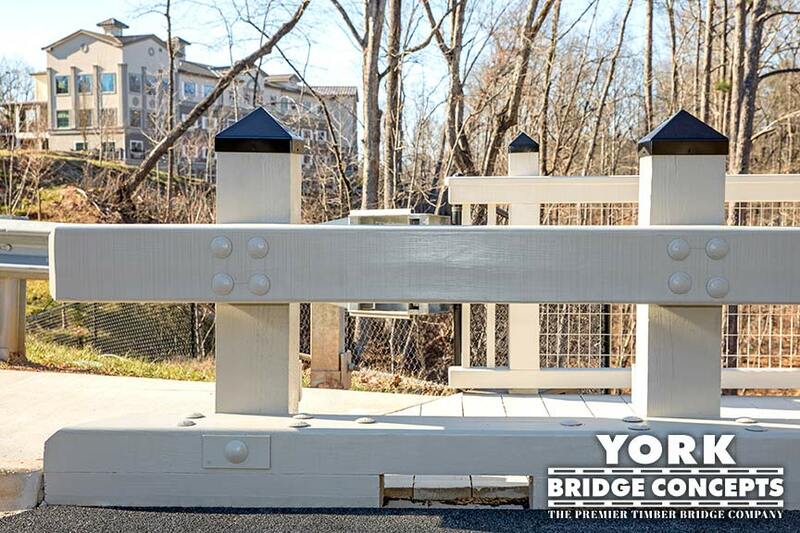 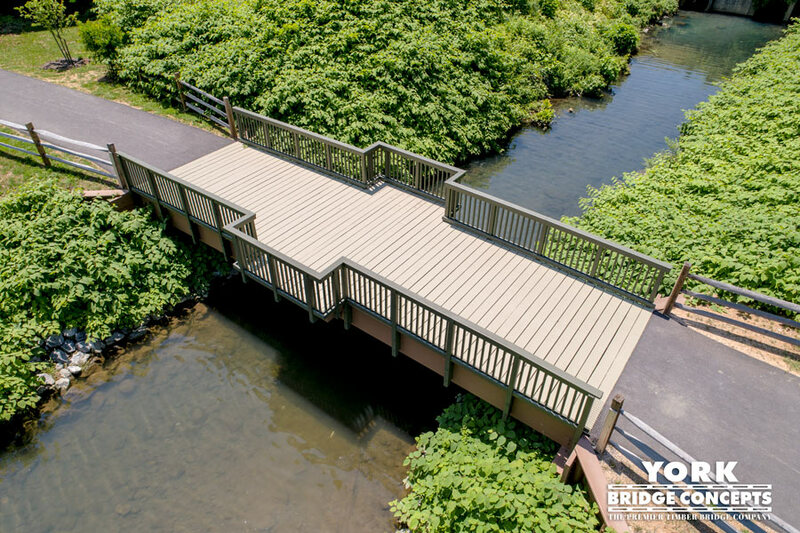 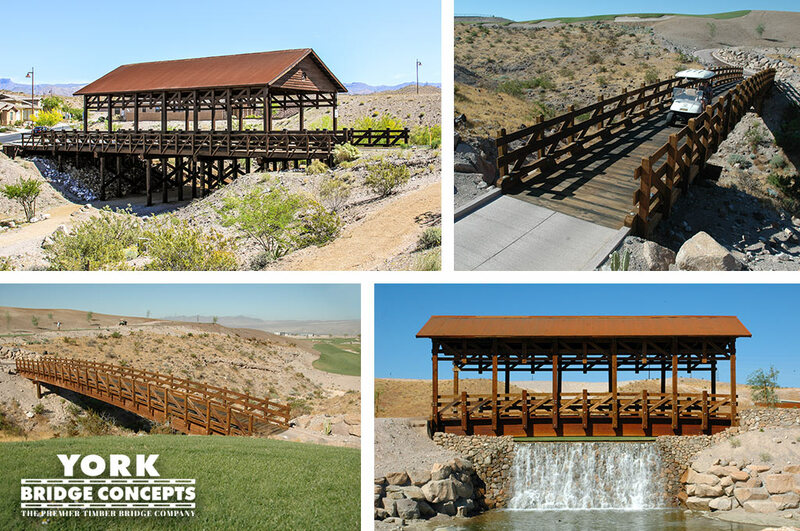 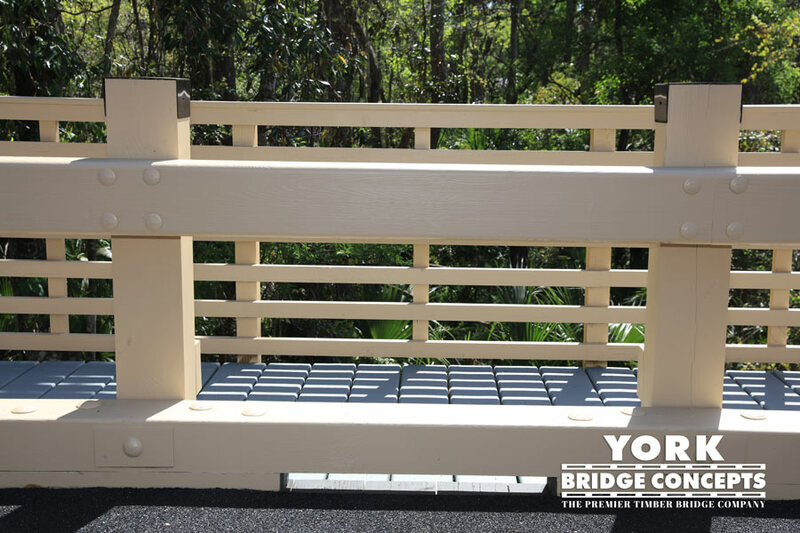 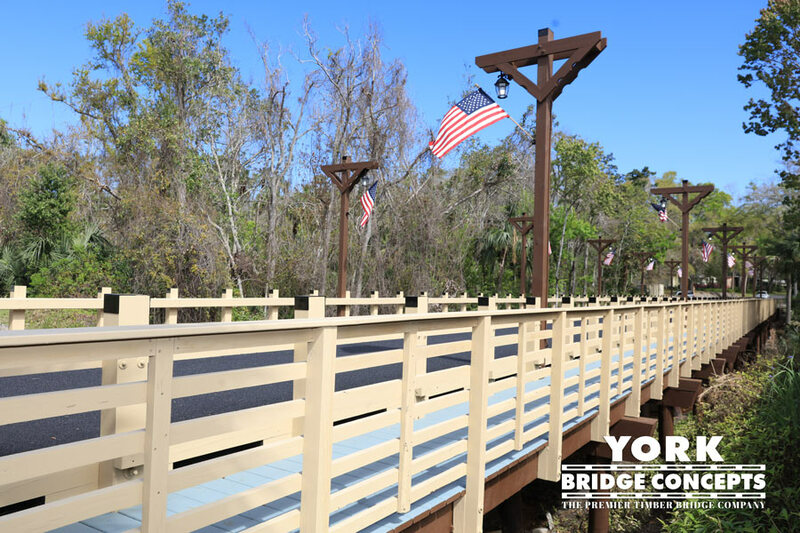 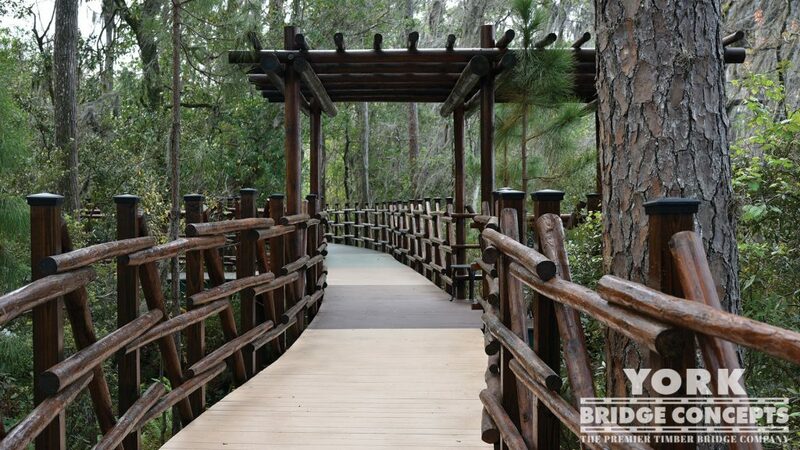 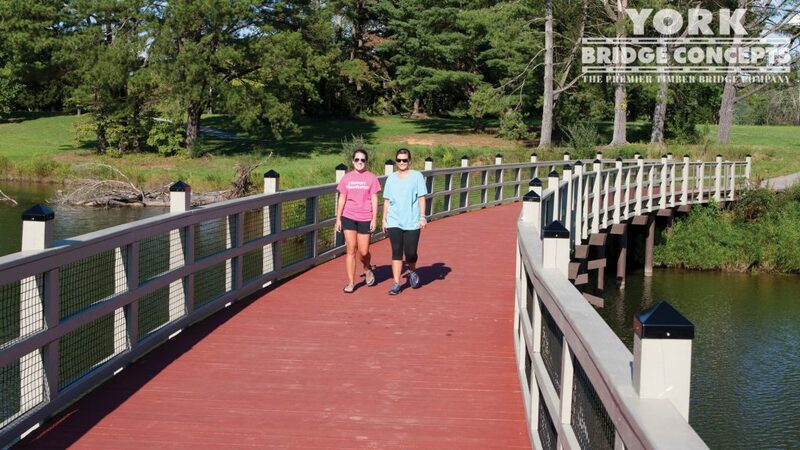 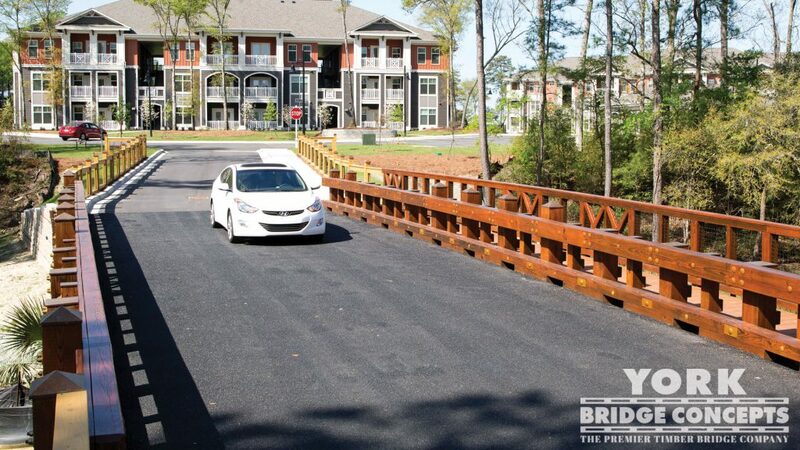 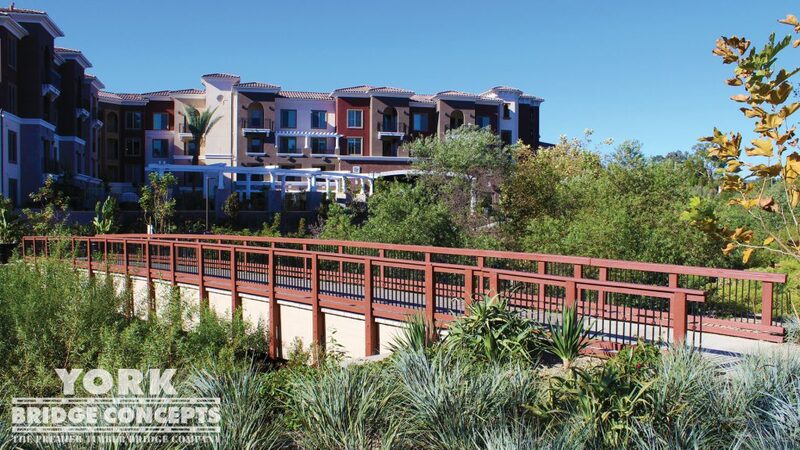 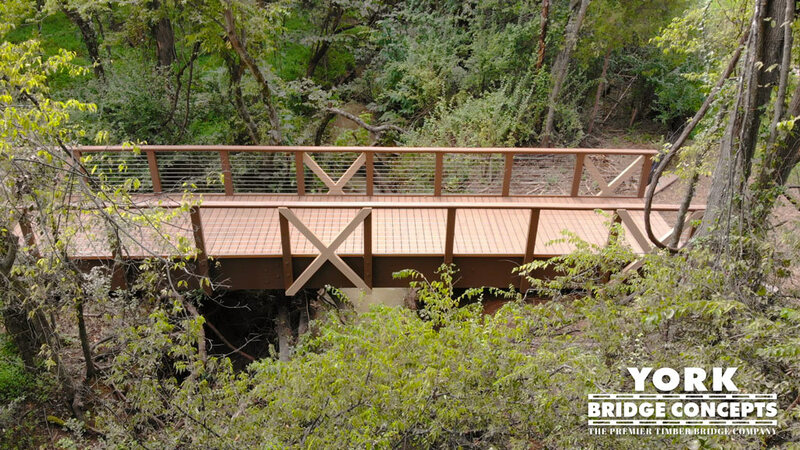 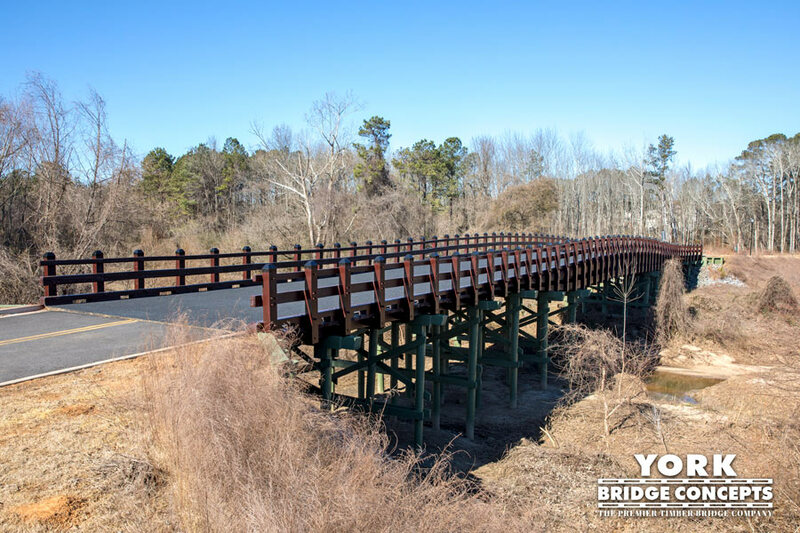 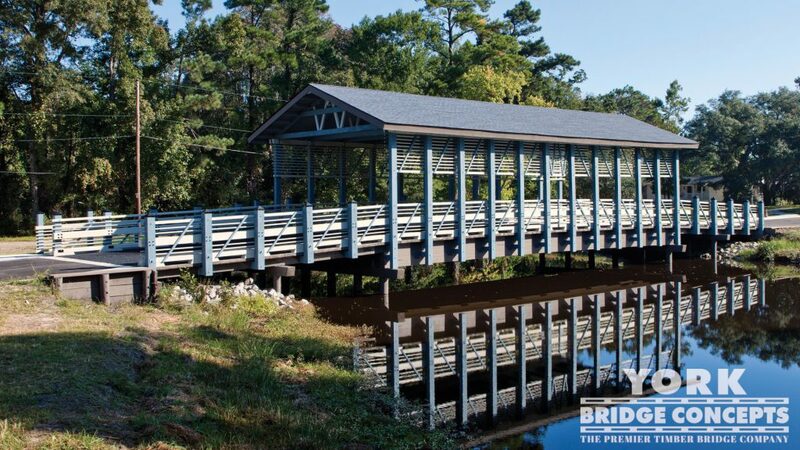 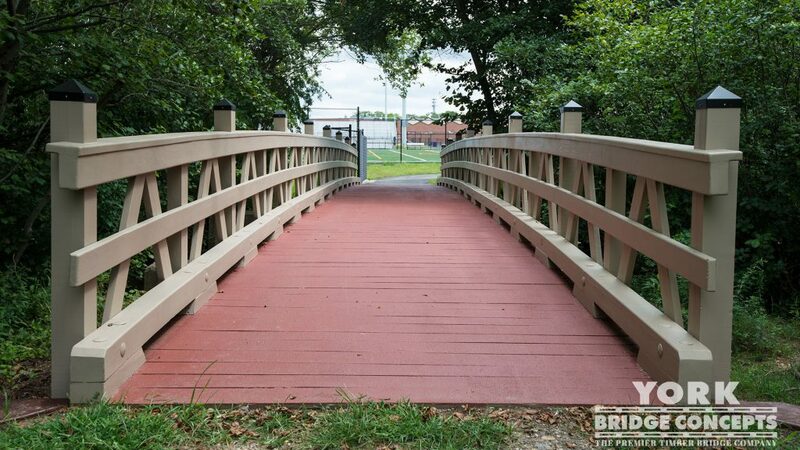 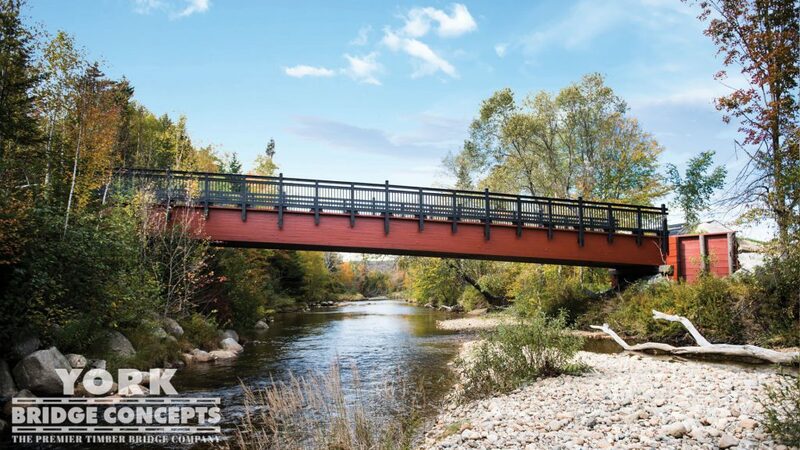 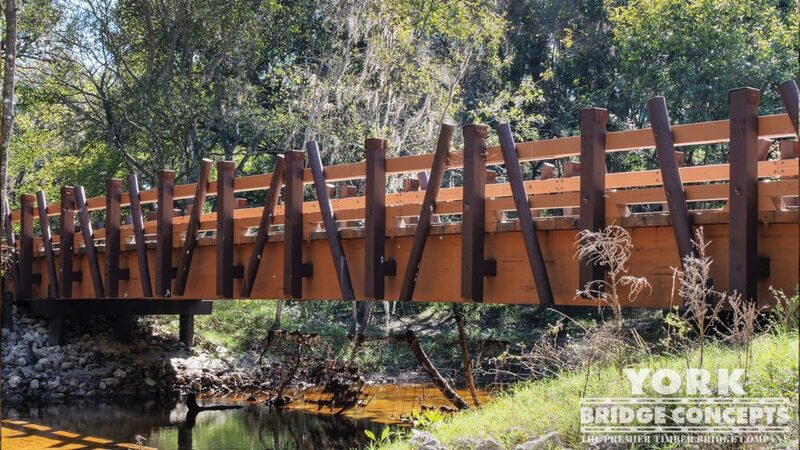 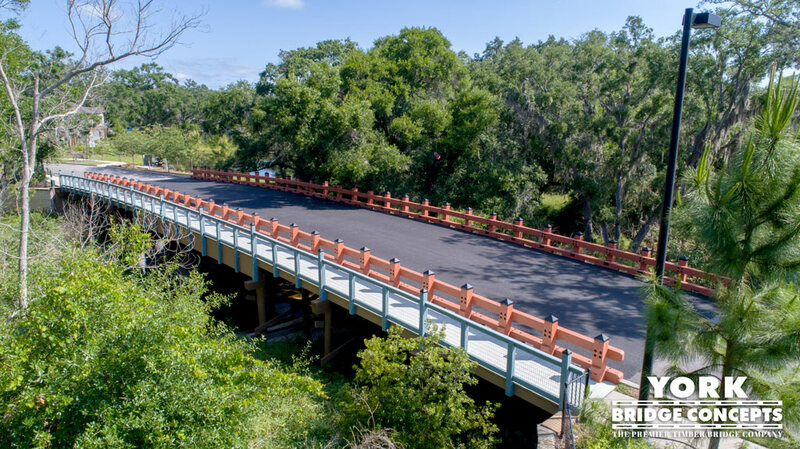 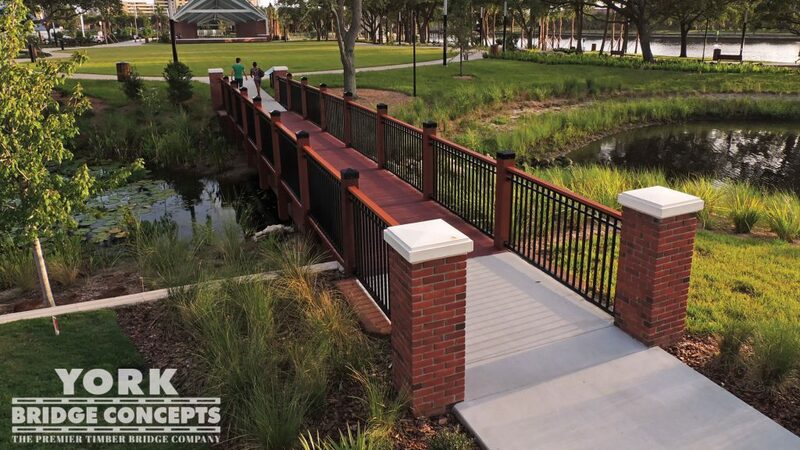 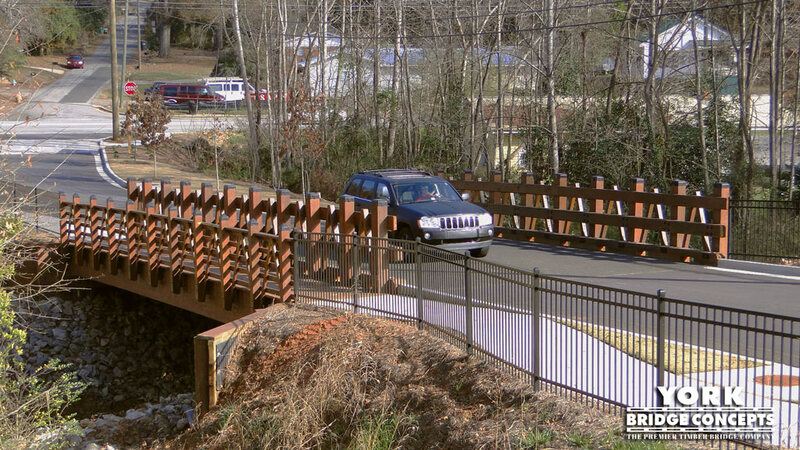 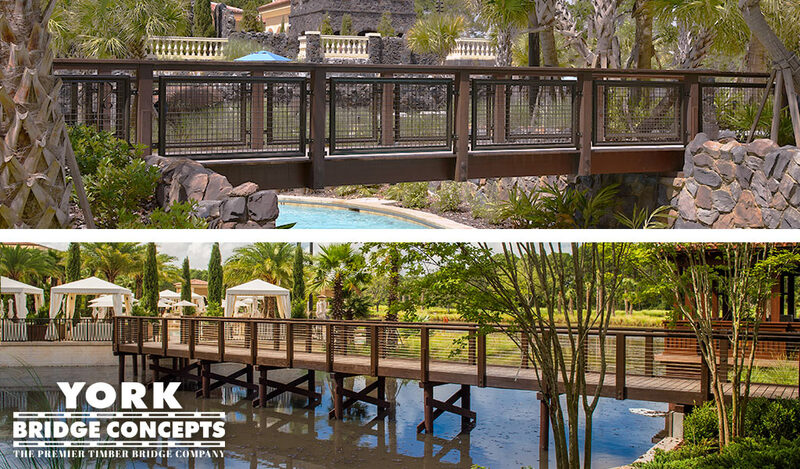 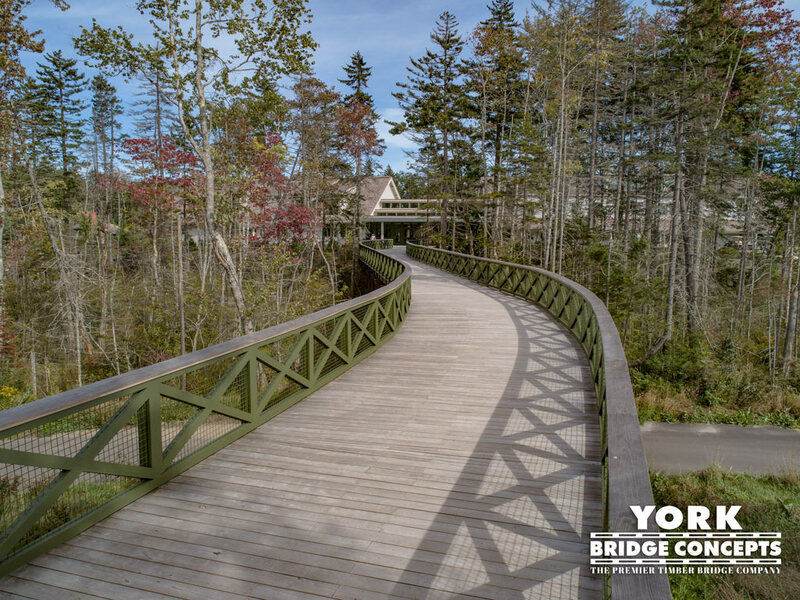 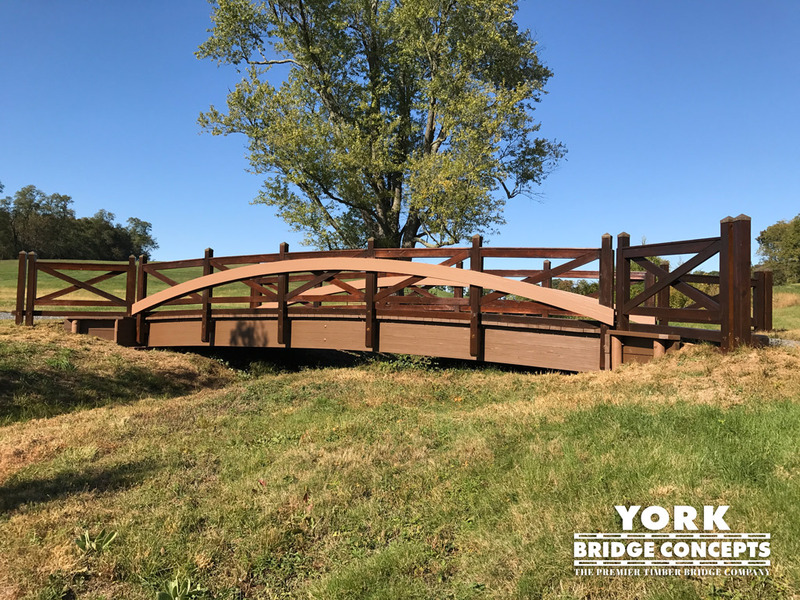 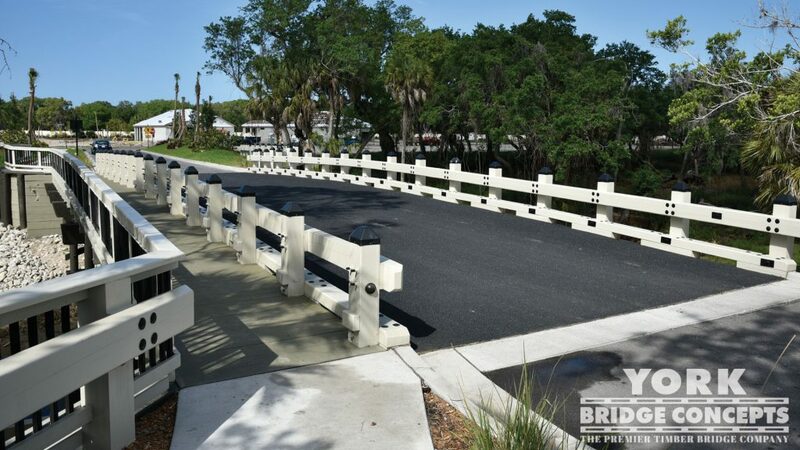 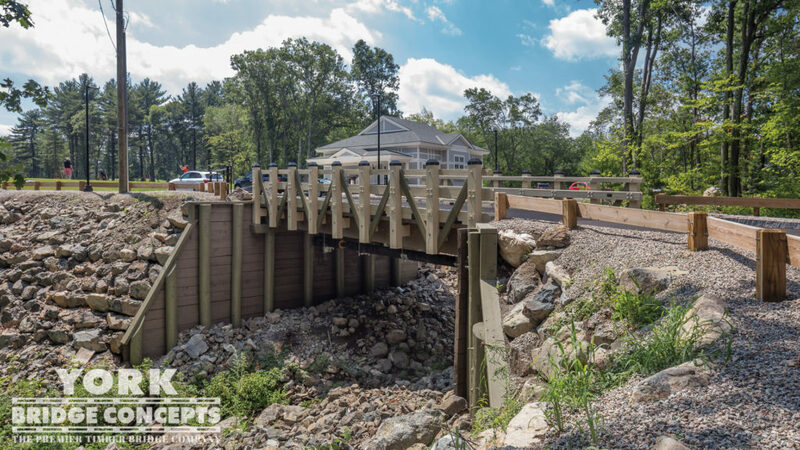 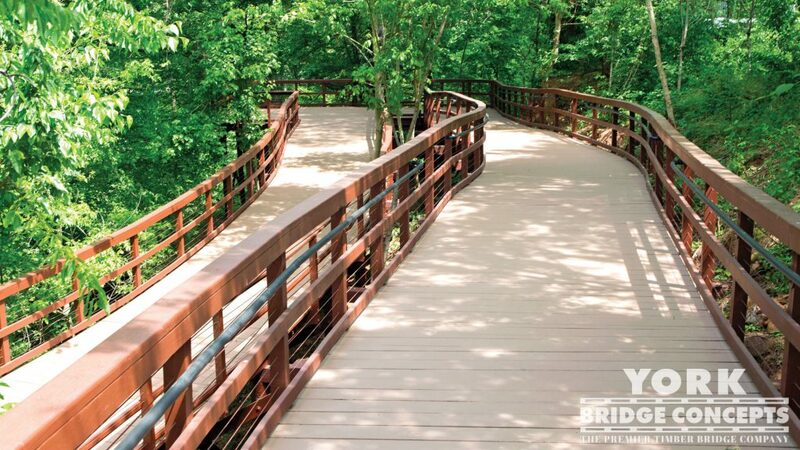 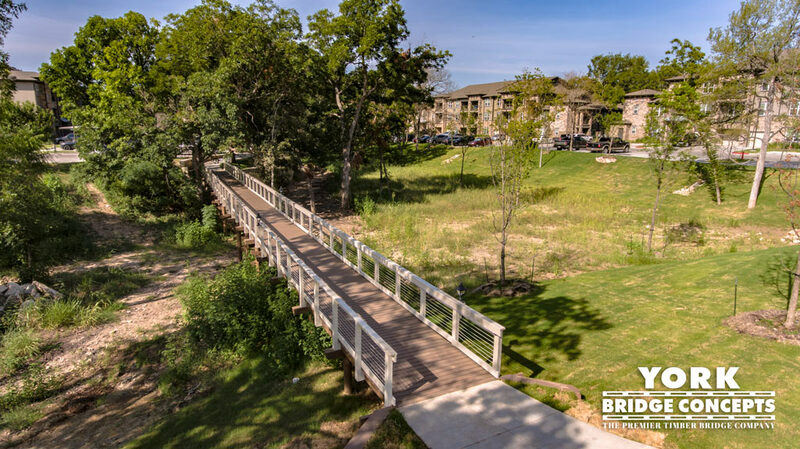 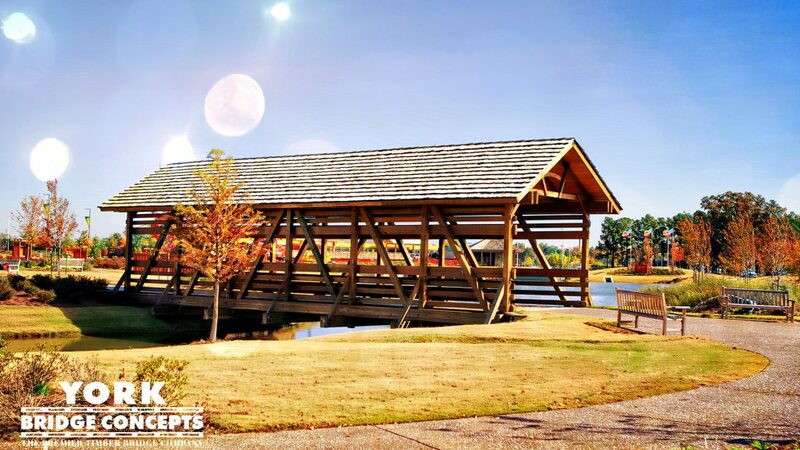 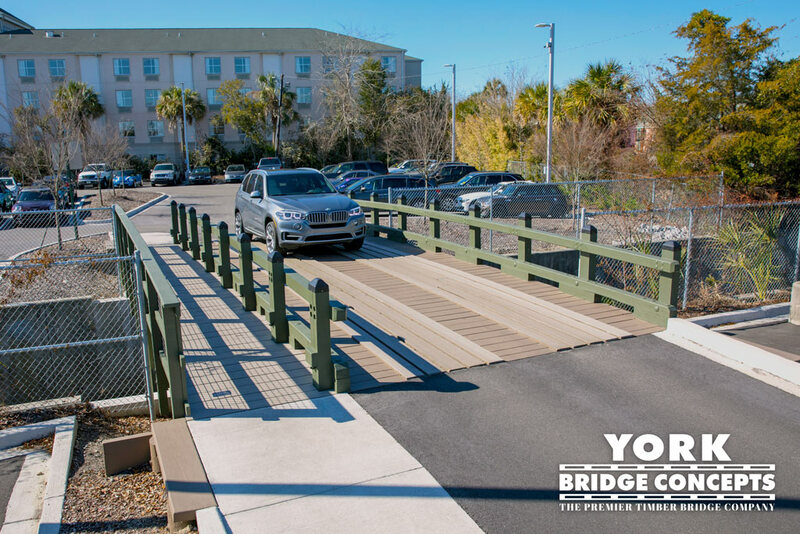 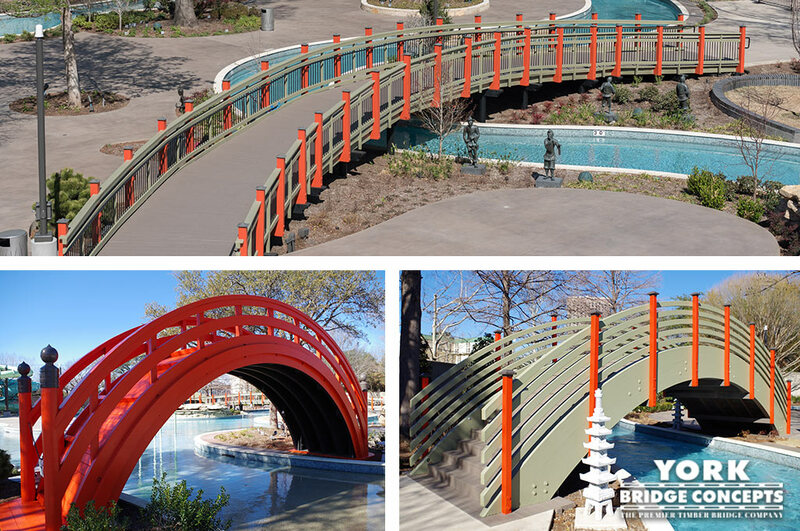 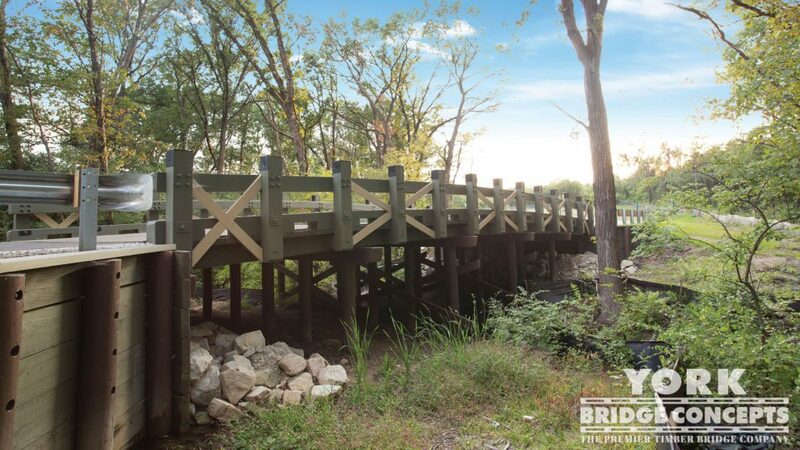 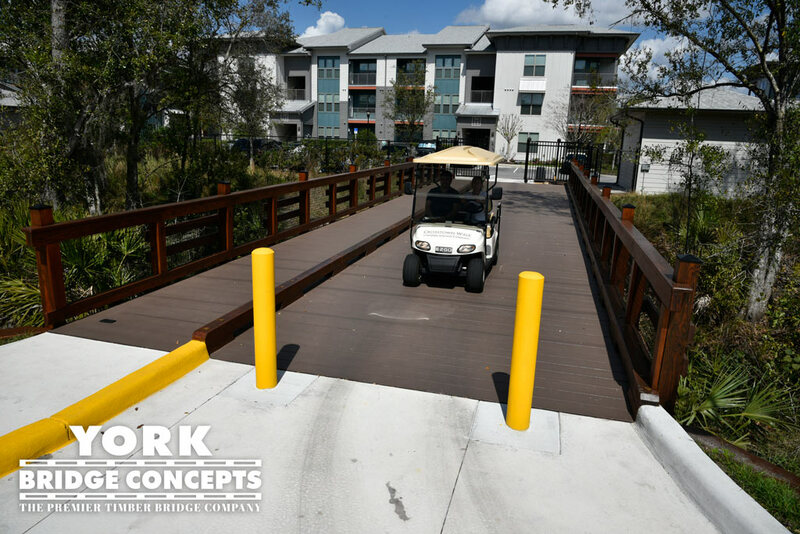 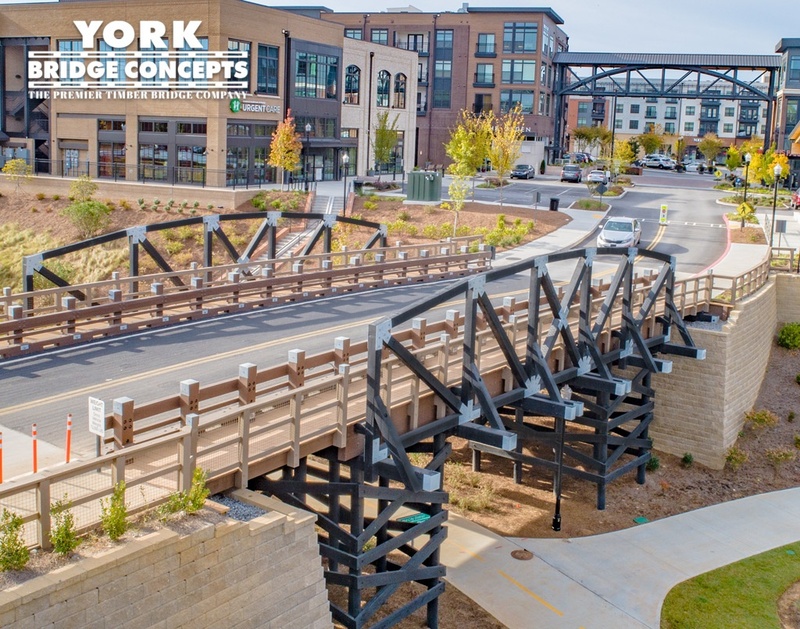 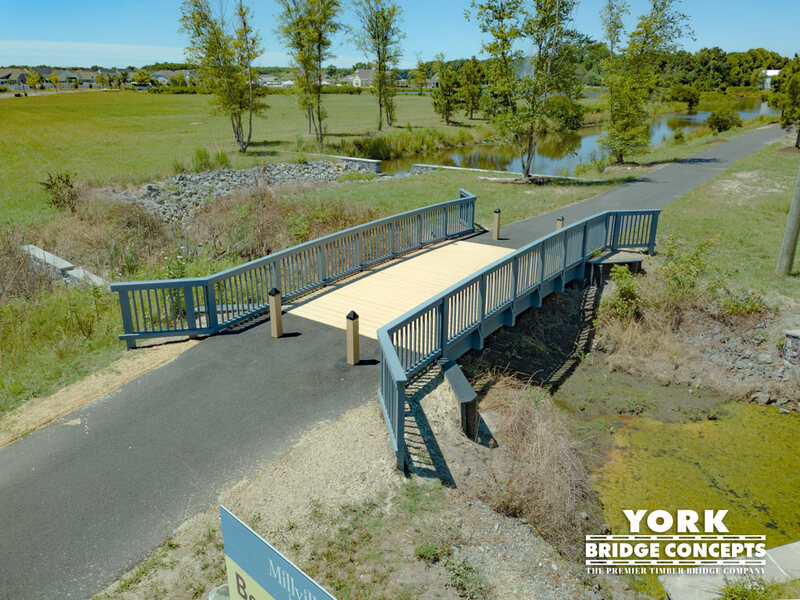 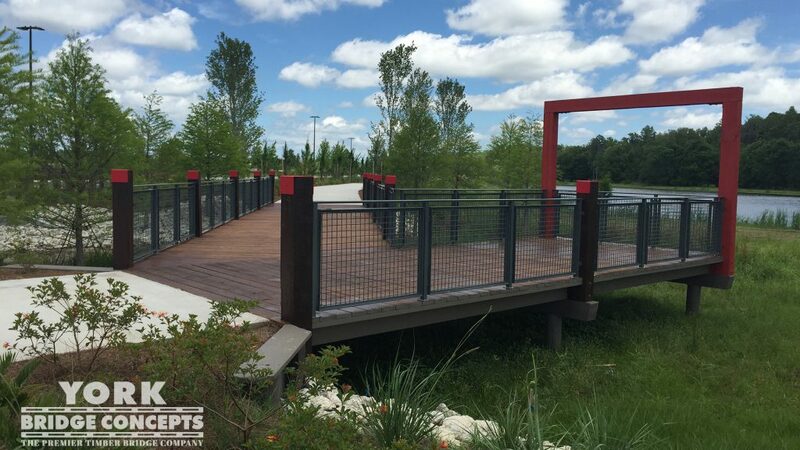 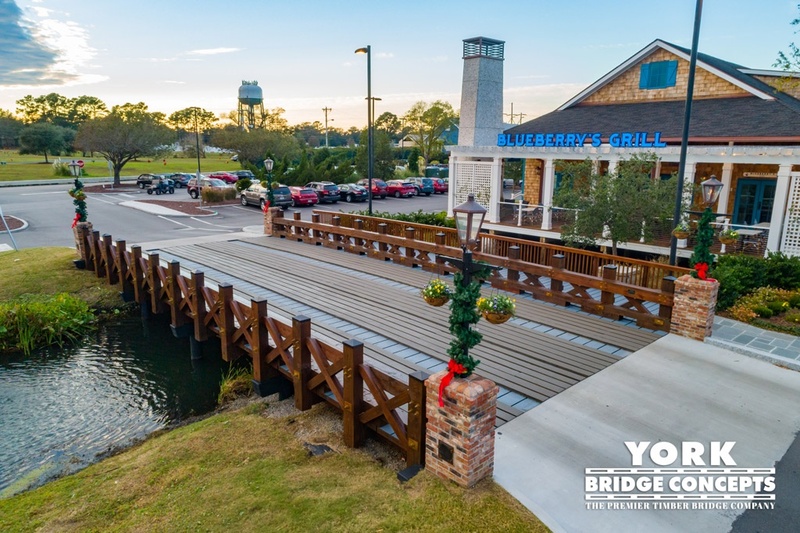 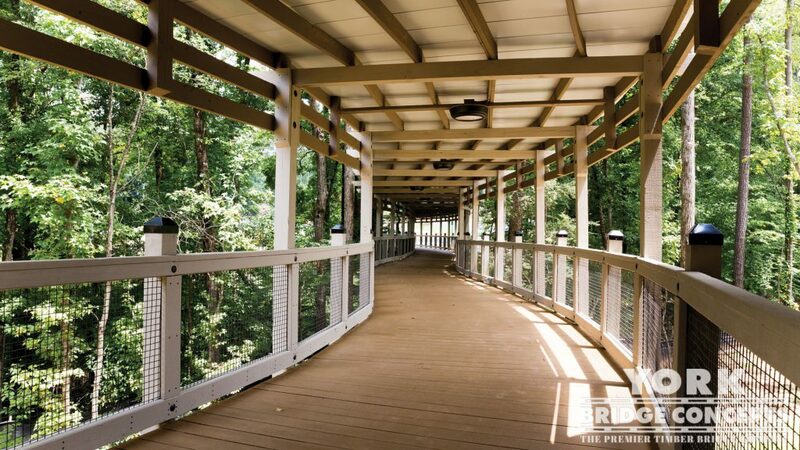 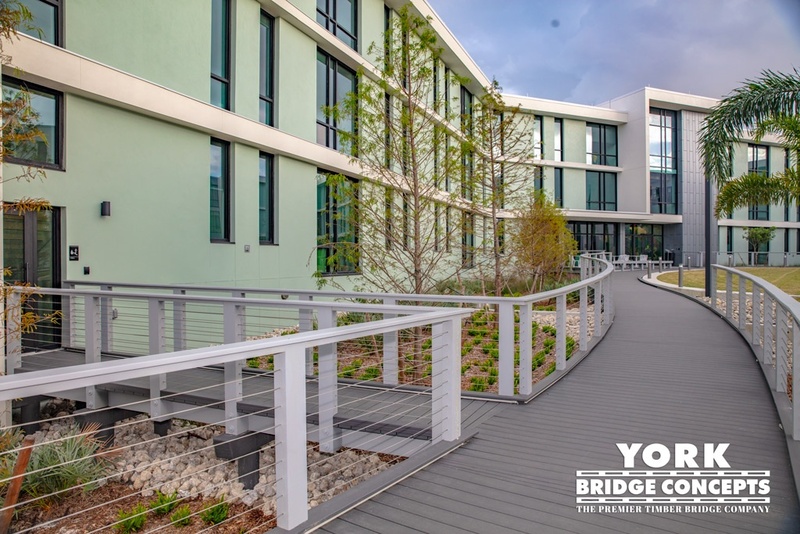 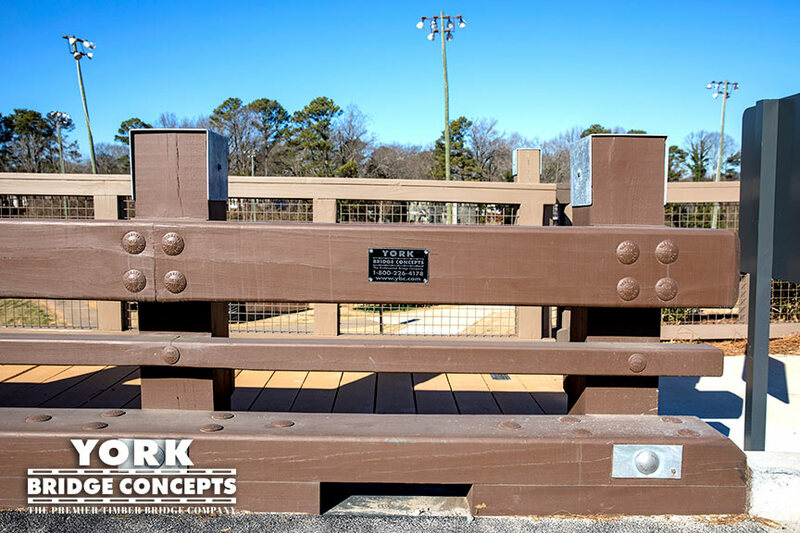 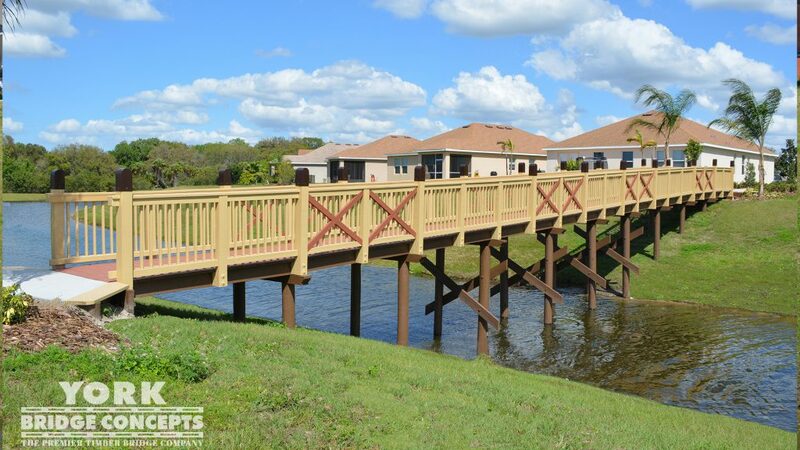 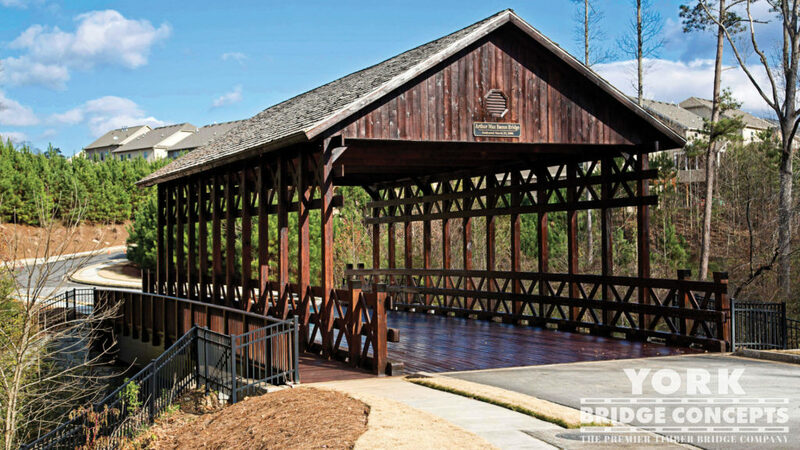 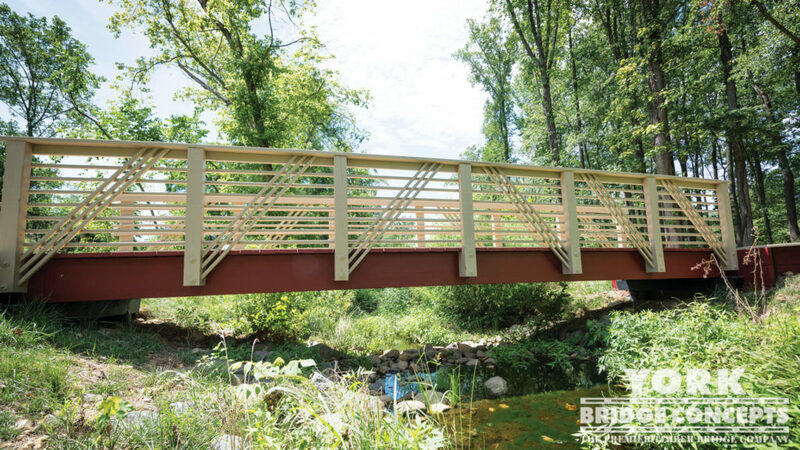 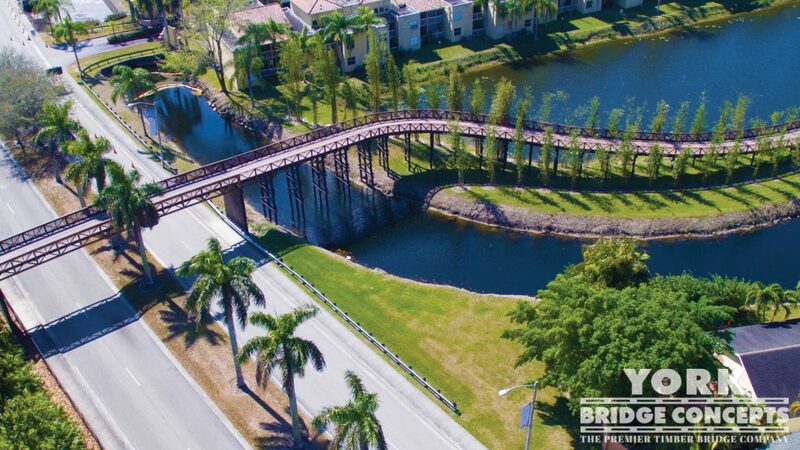 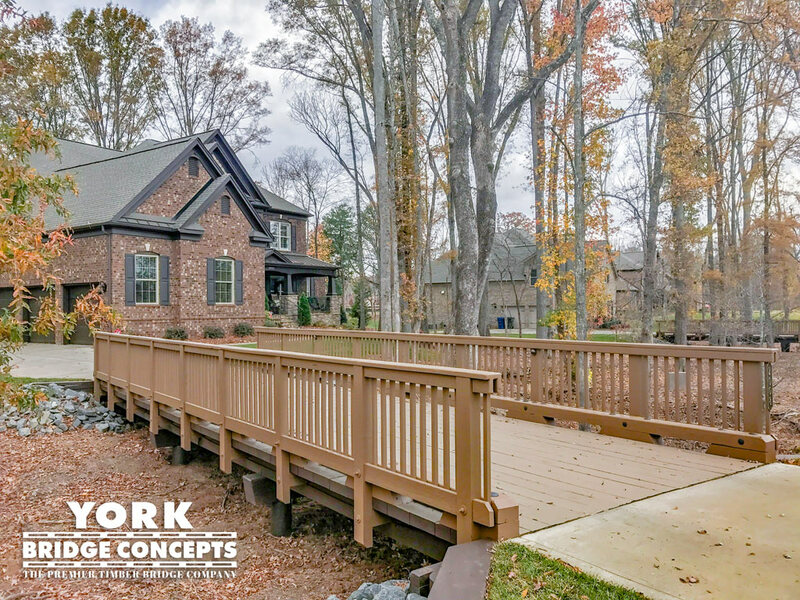 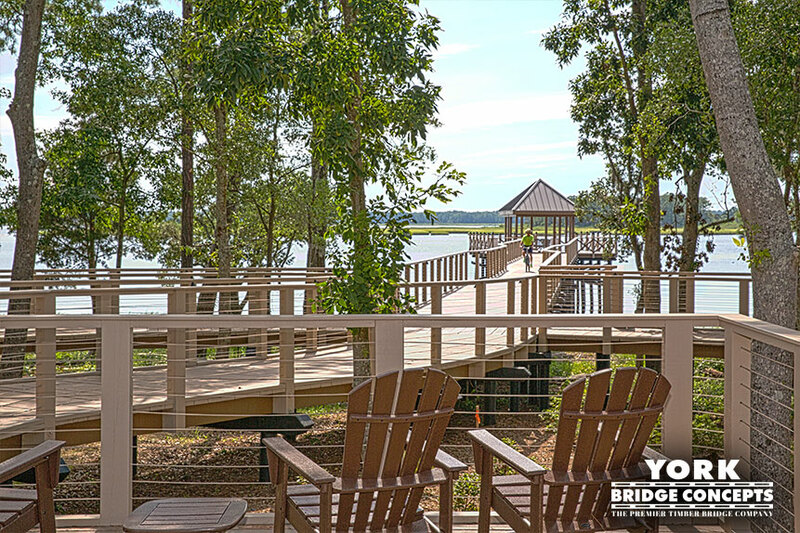 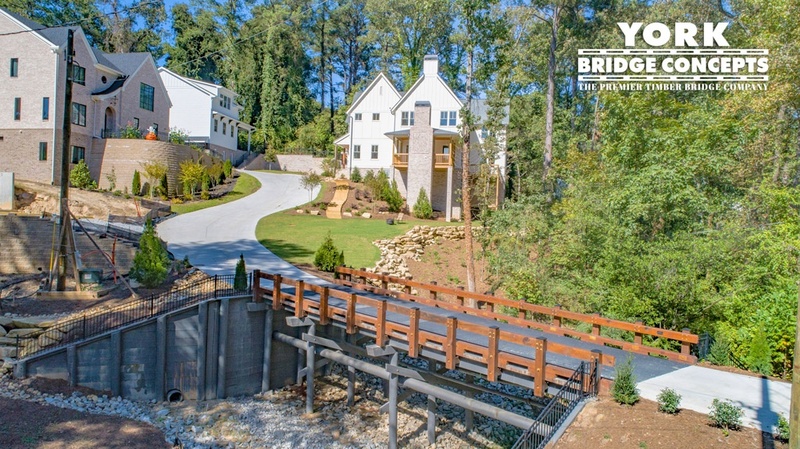 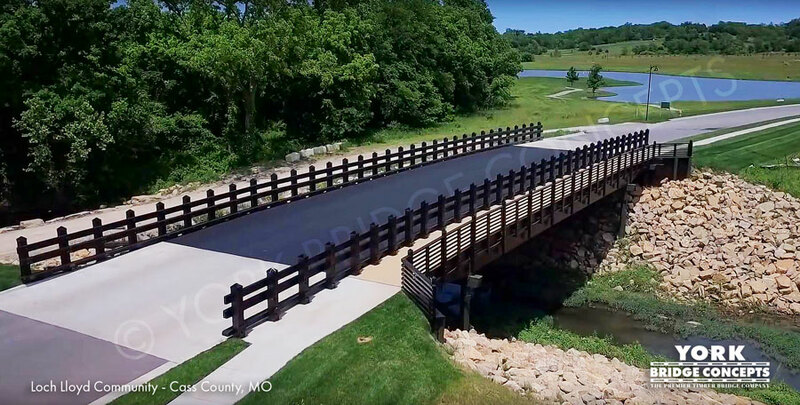 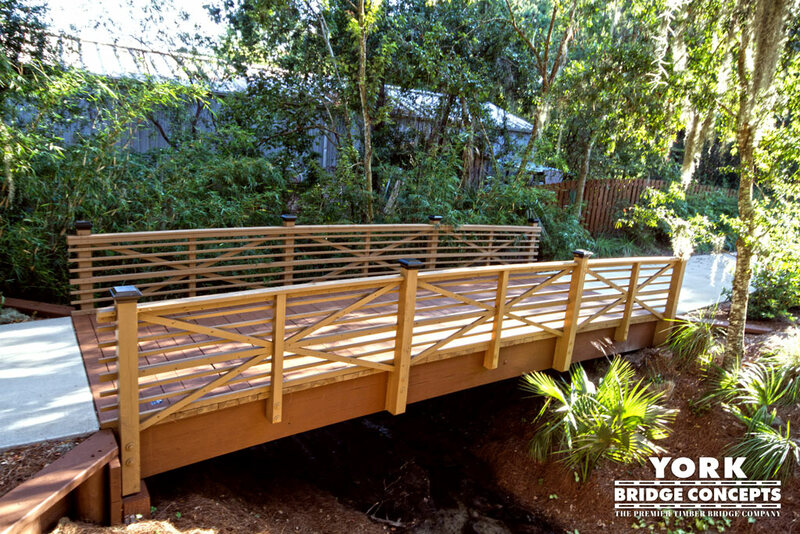 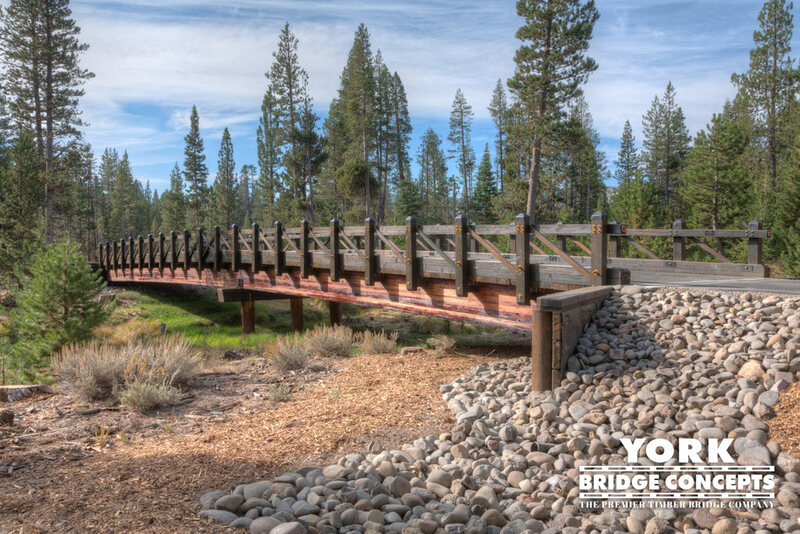 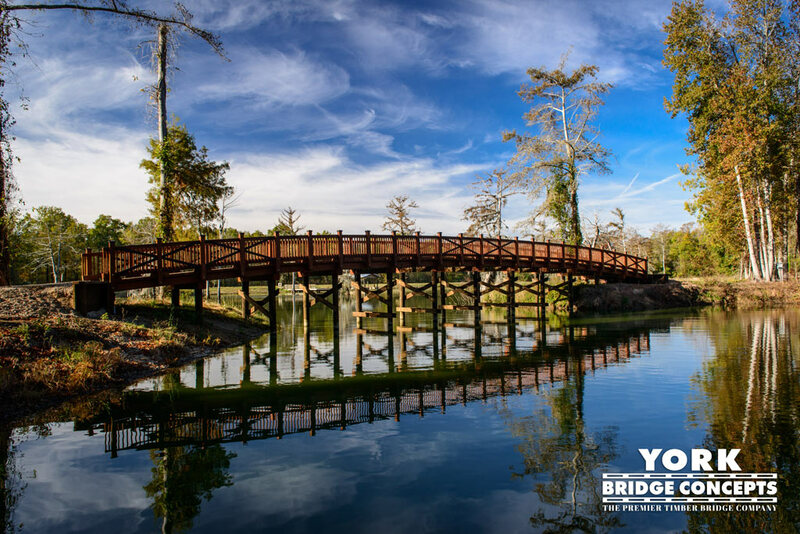 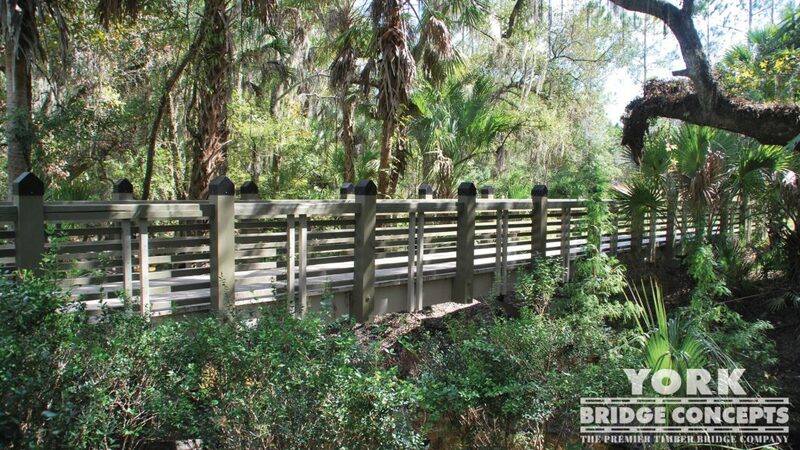 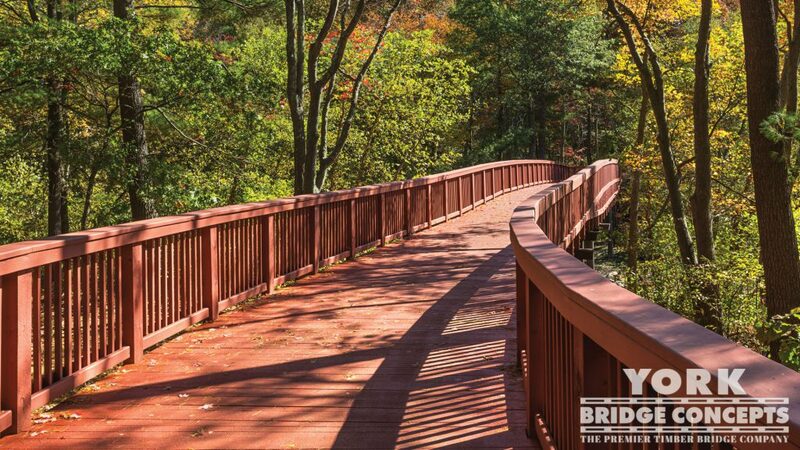 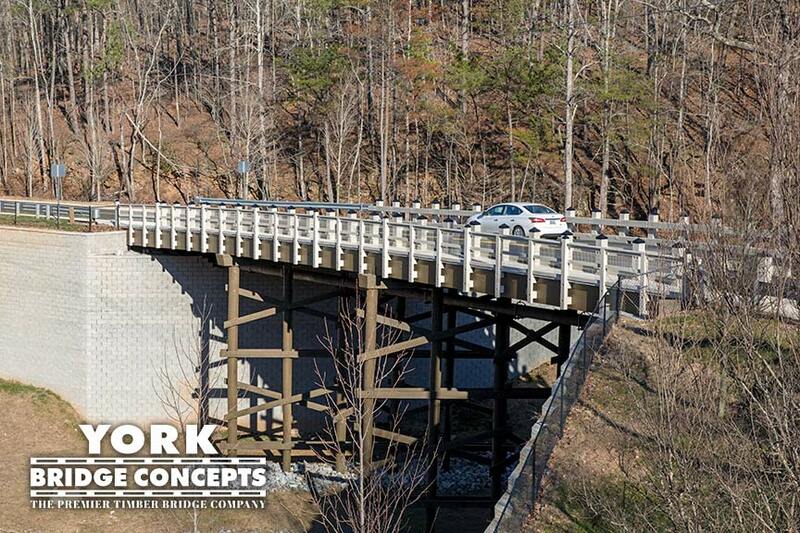 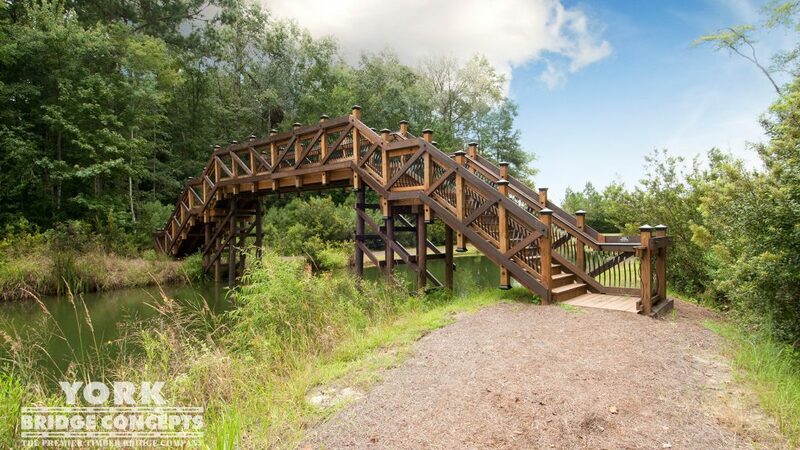 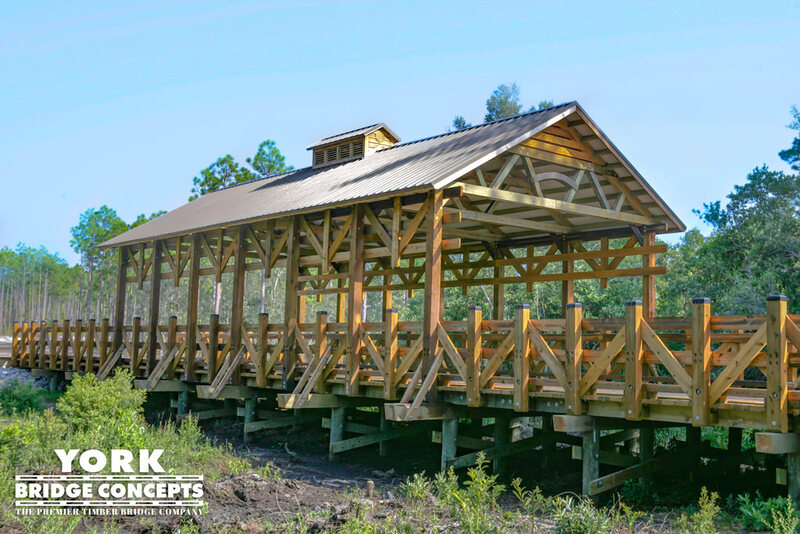 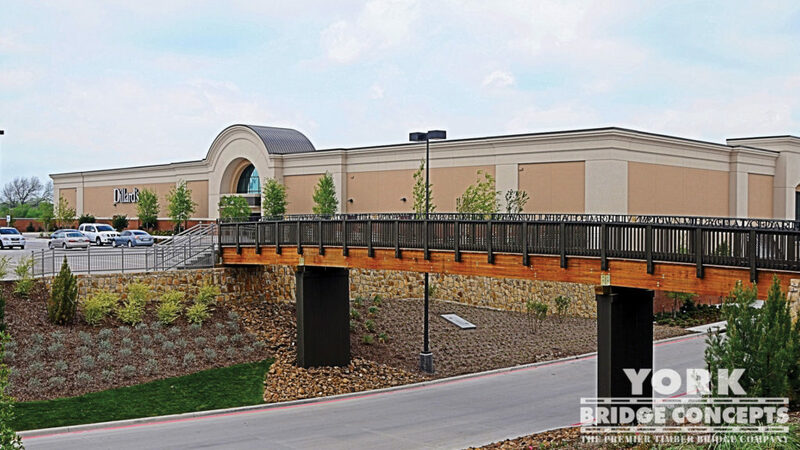 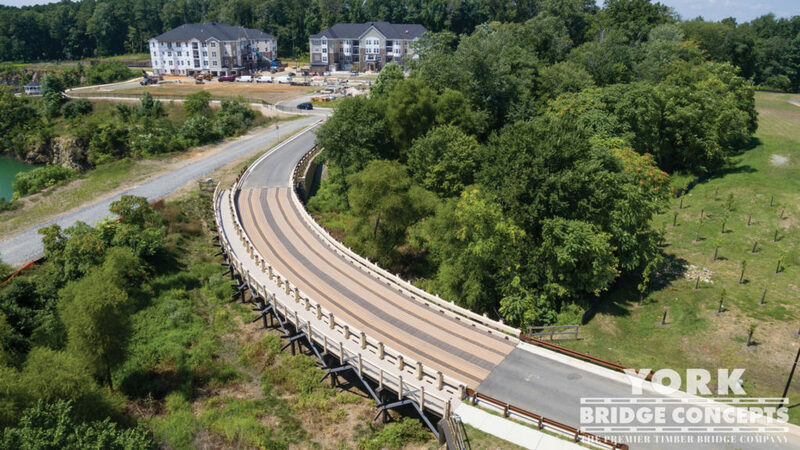 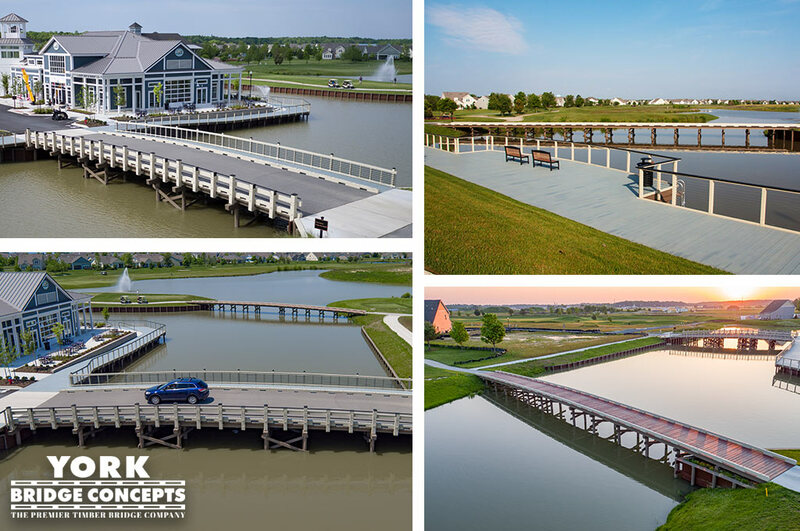 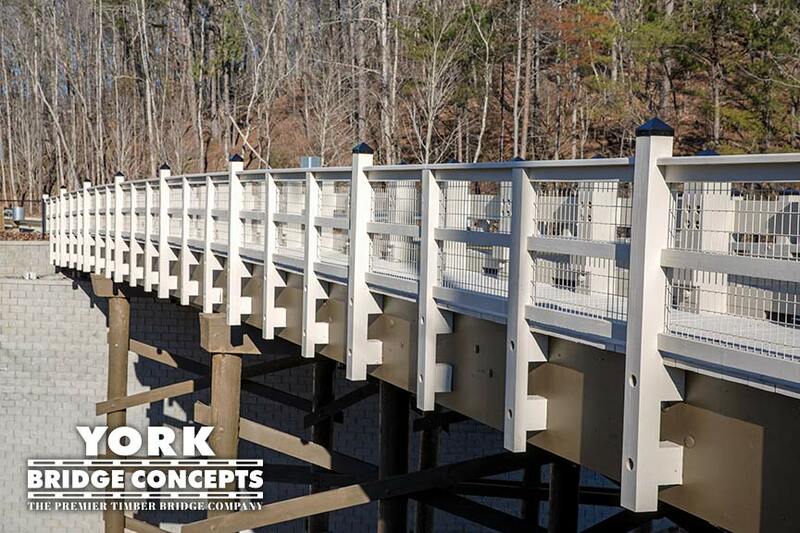 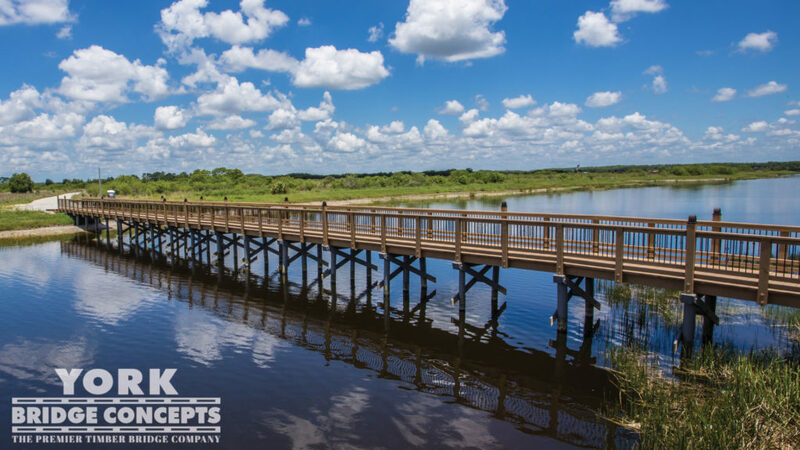 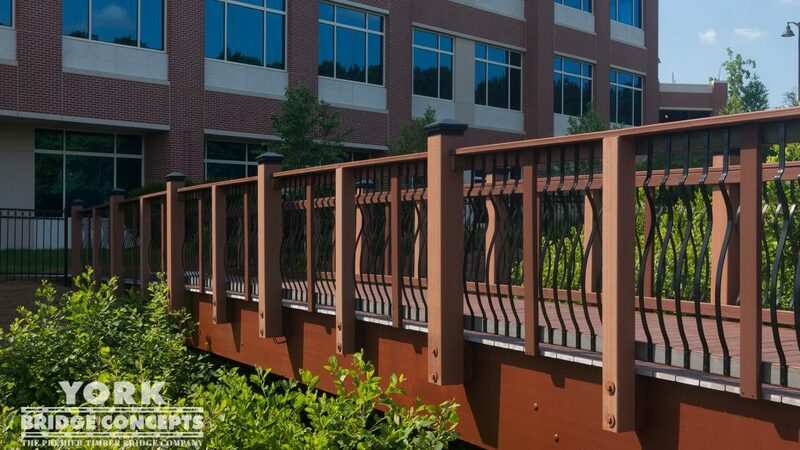 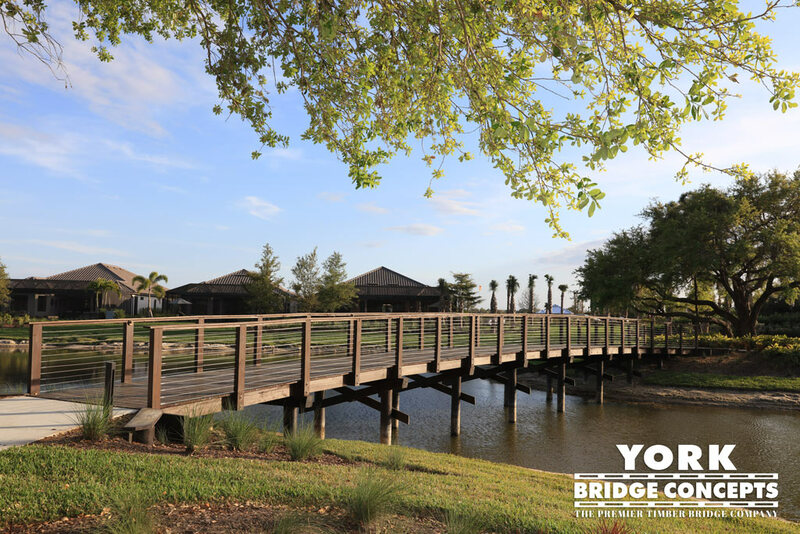 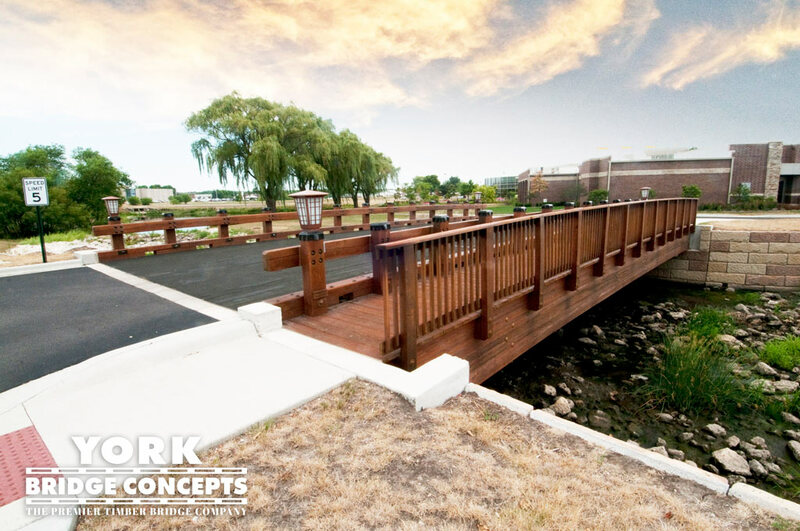 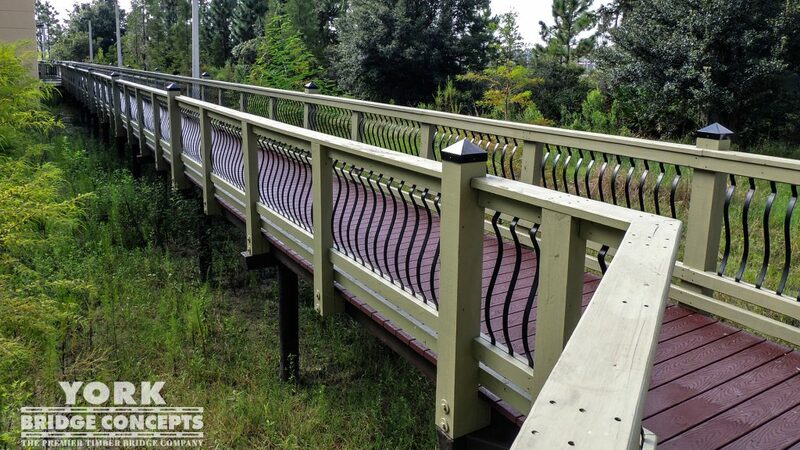 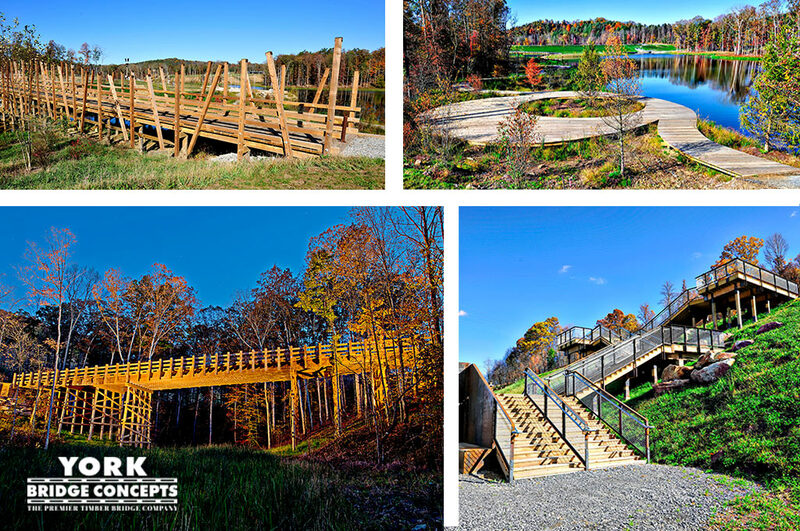 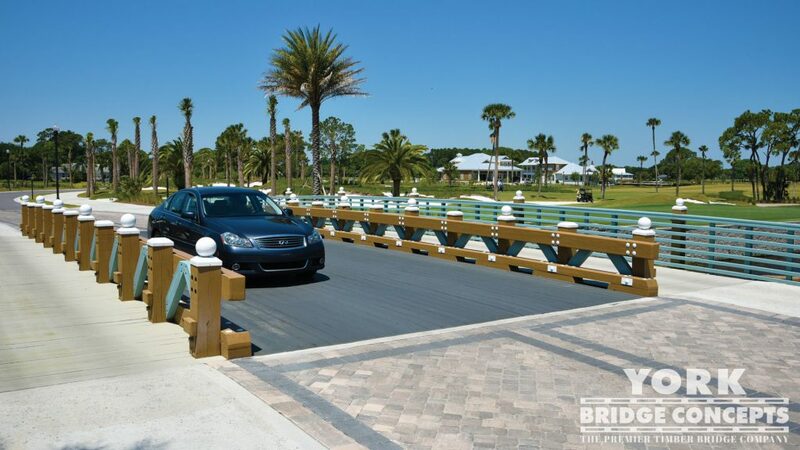 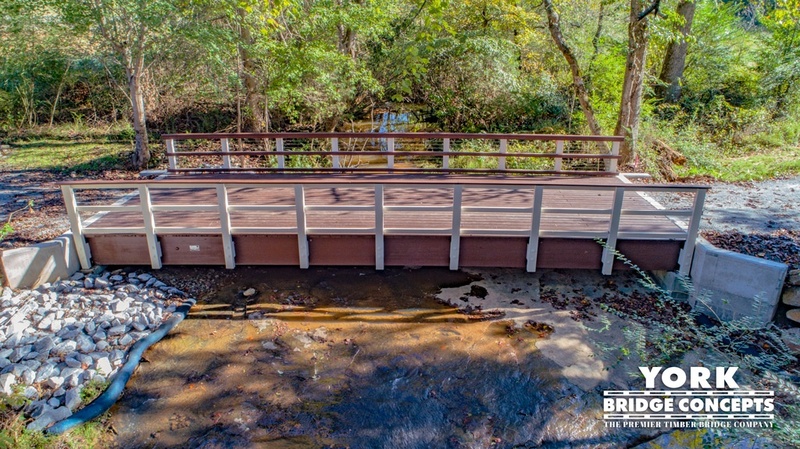 The Champions Vue Pedestrian Bridge’s timber is clad in premium York Timber Protective Systems™ with composite decking & rail cap, making it a Legacy Design for a premier residential property.